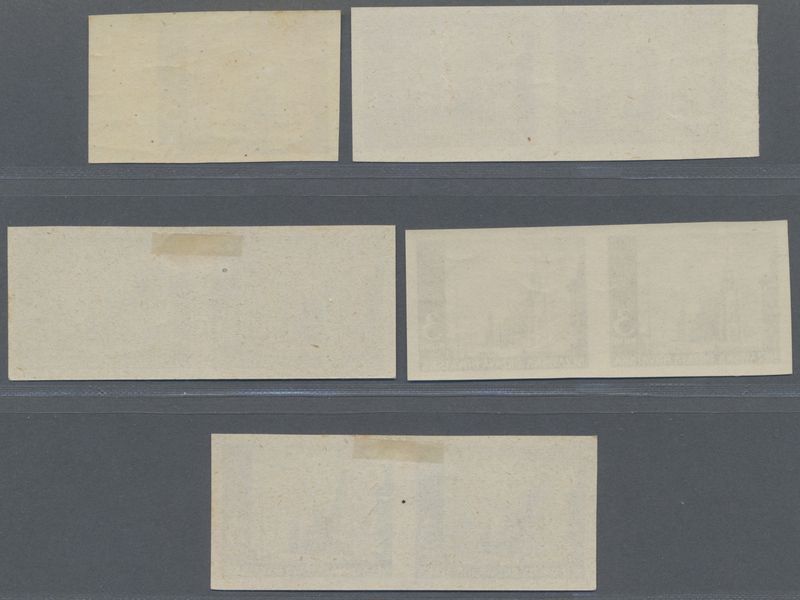 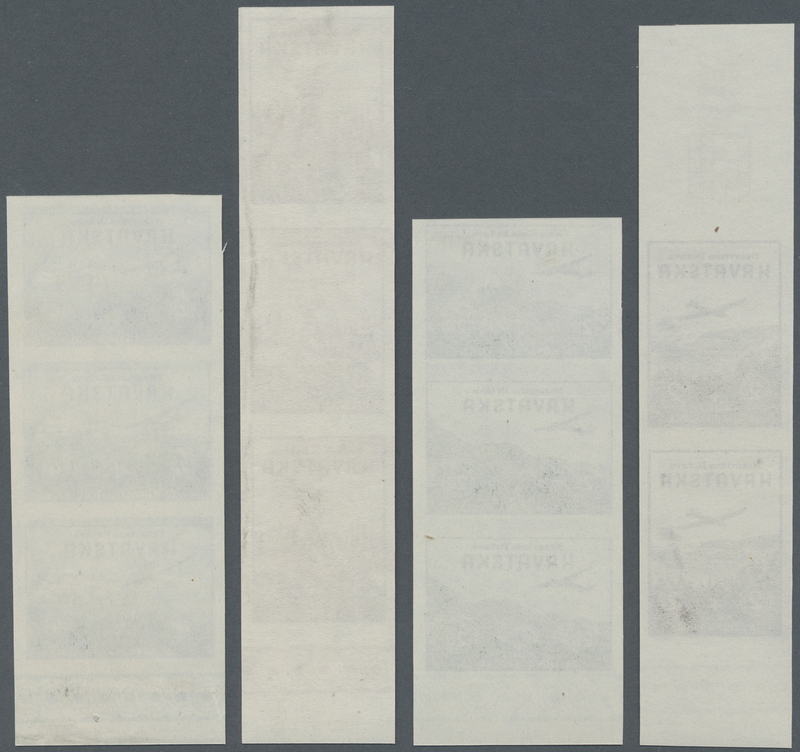 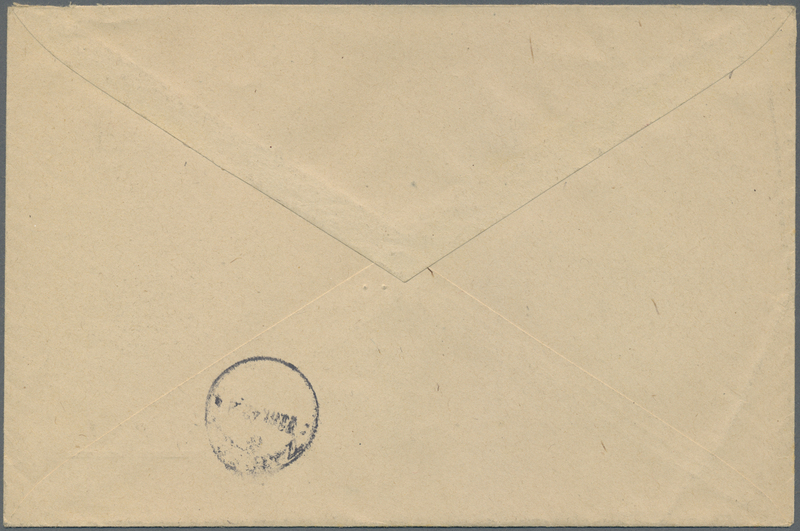 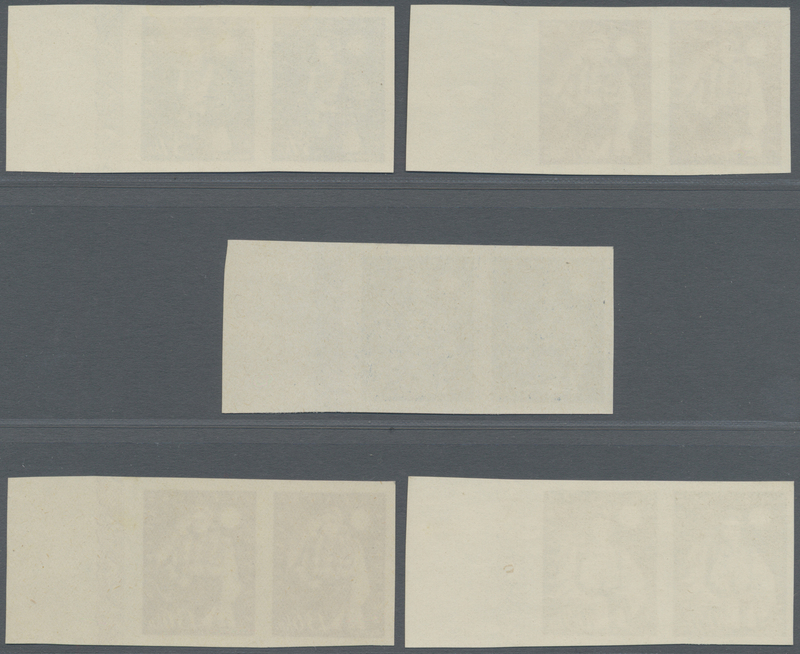 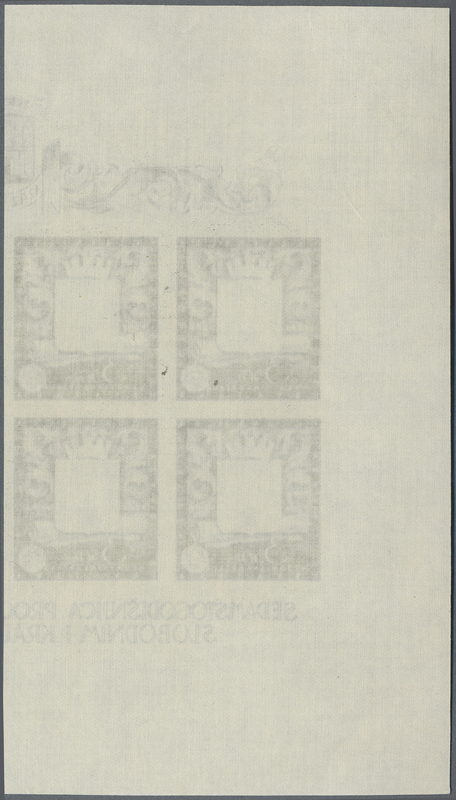 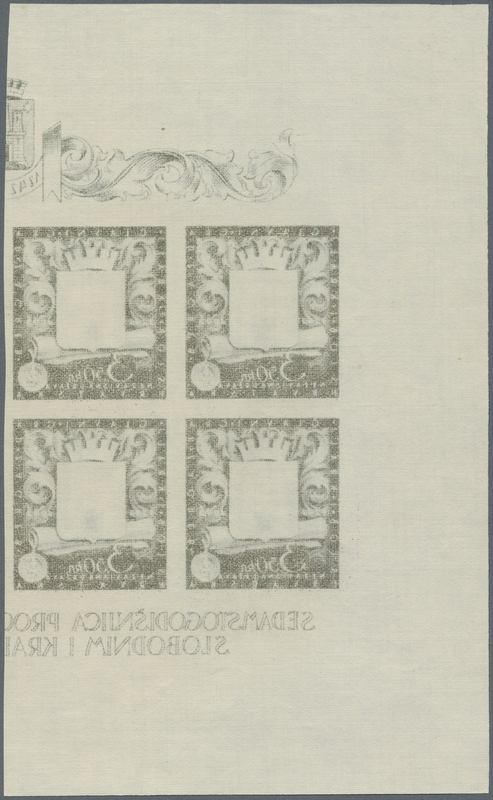 17731 ungebraucht ohne Gummi (unused without gum) (*) 53 VAR’S 1942 (10 July). 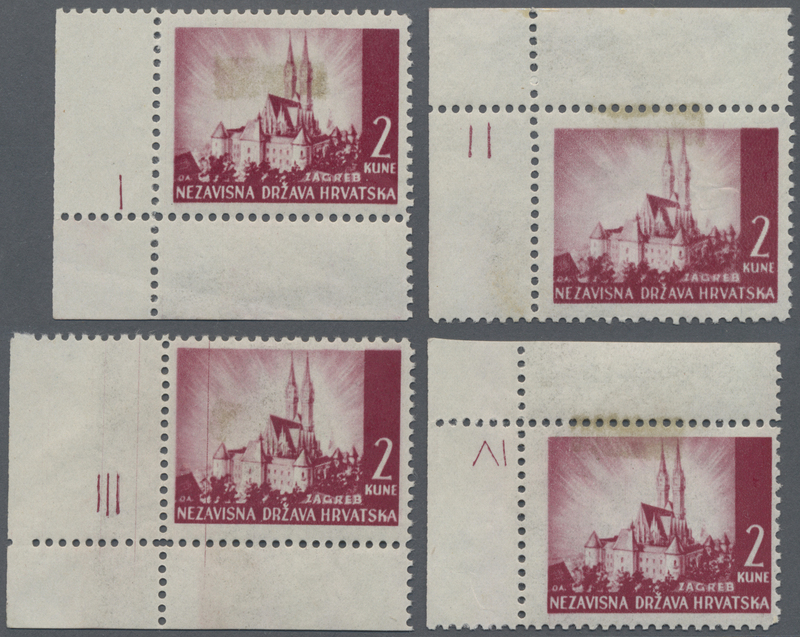 Pictorials (Osijek Cathedral). 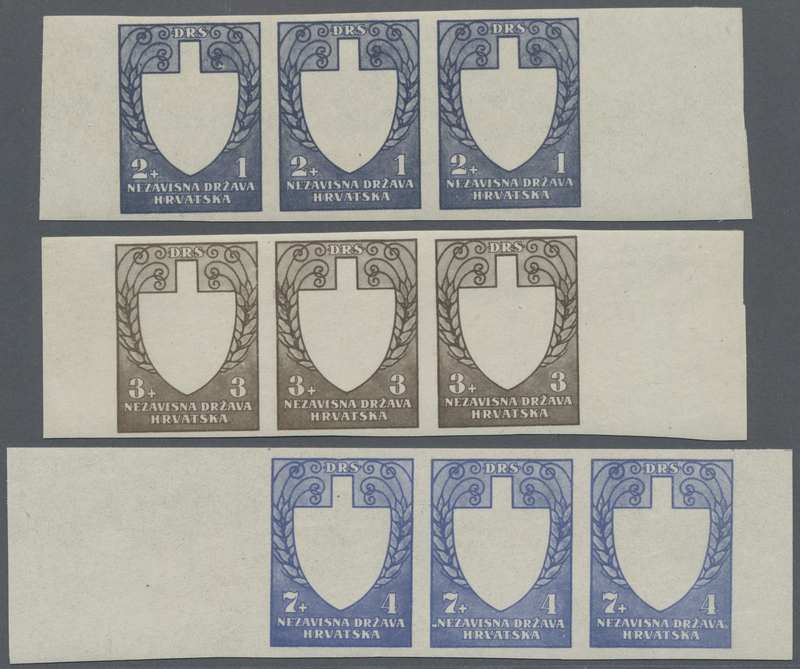 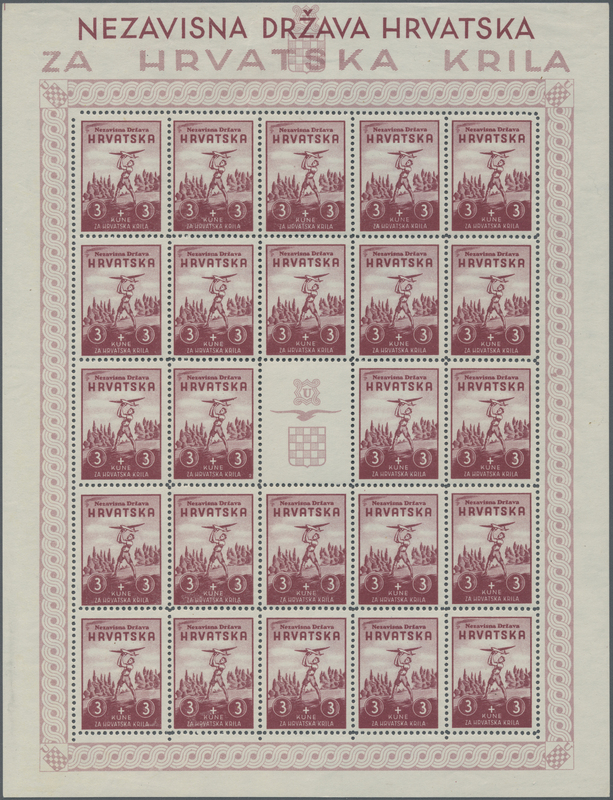 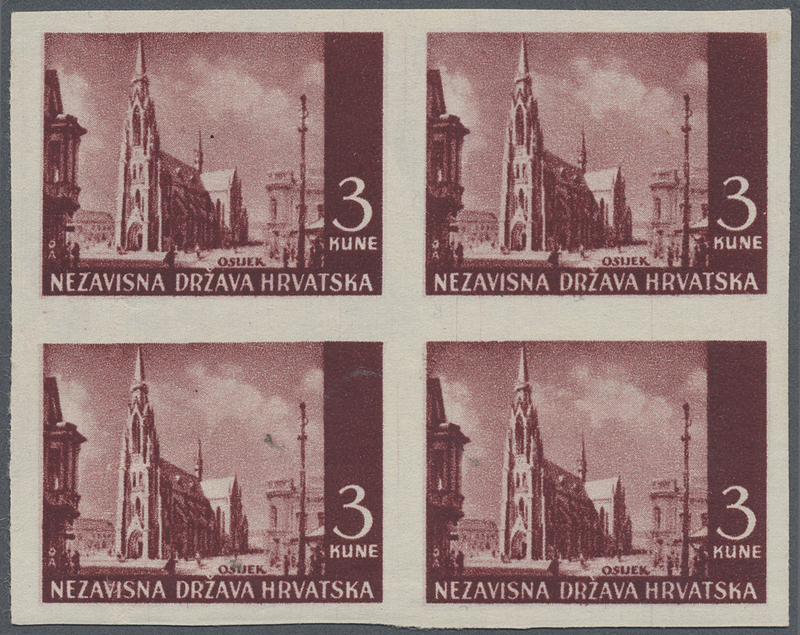 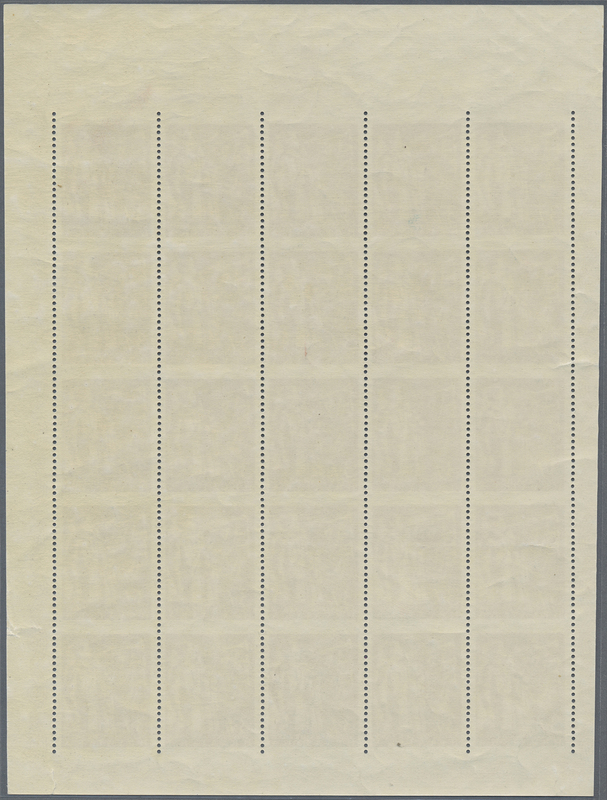 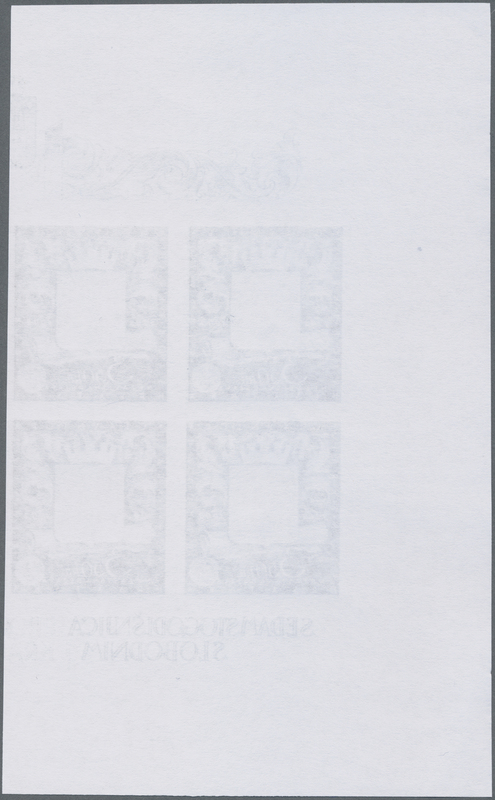 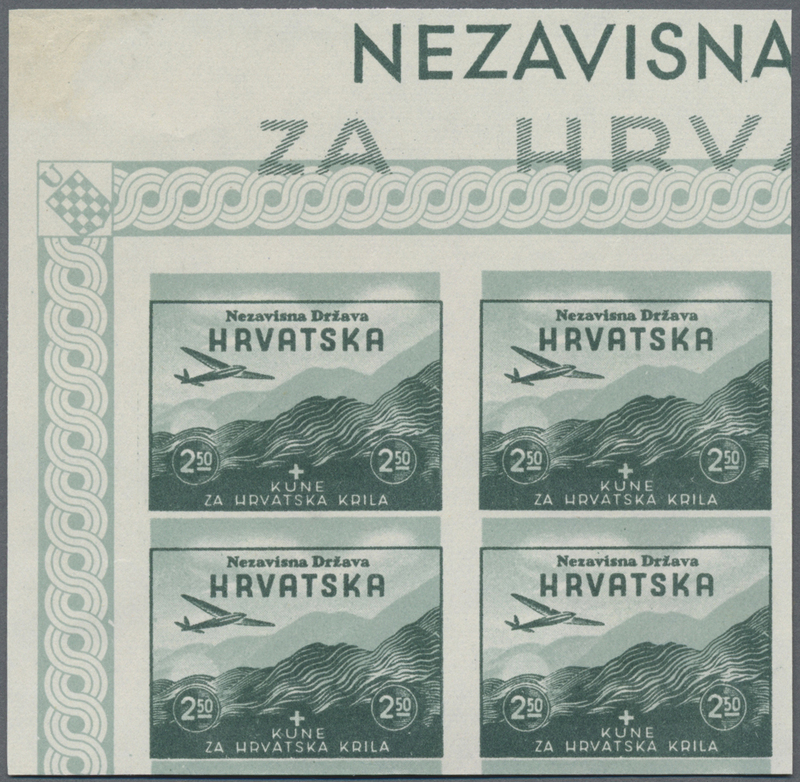 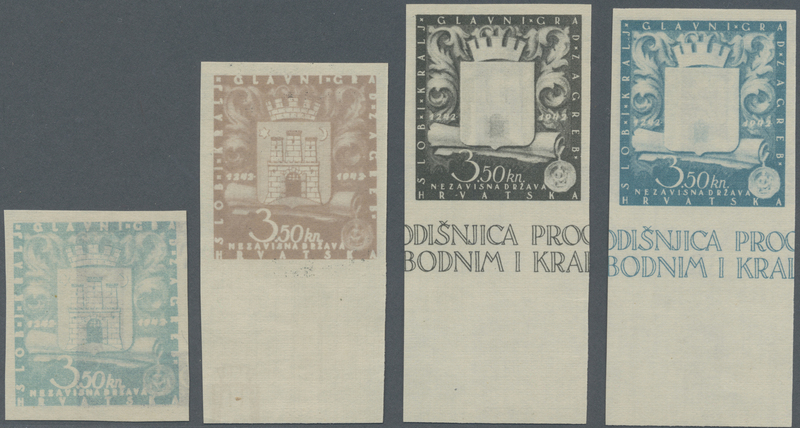 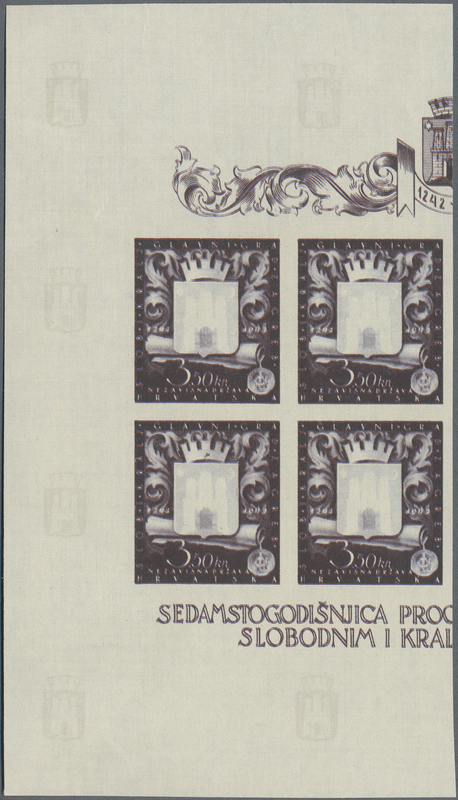 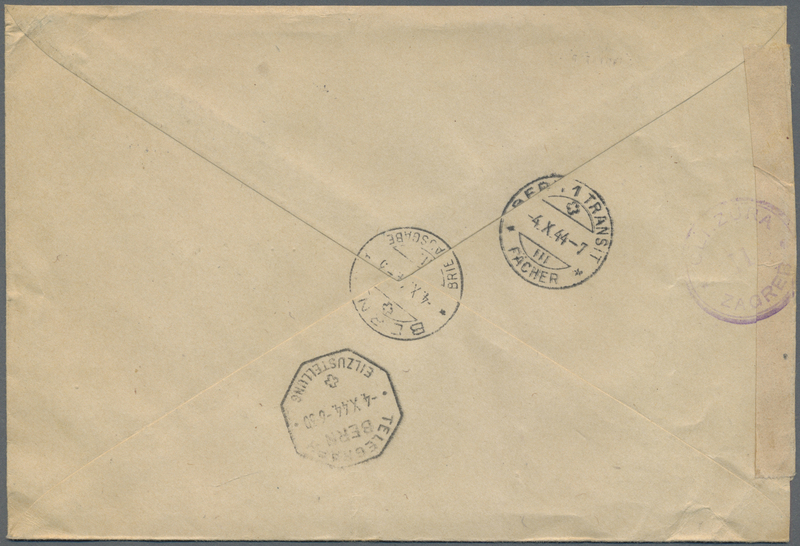 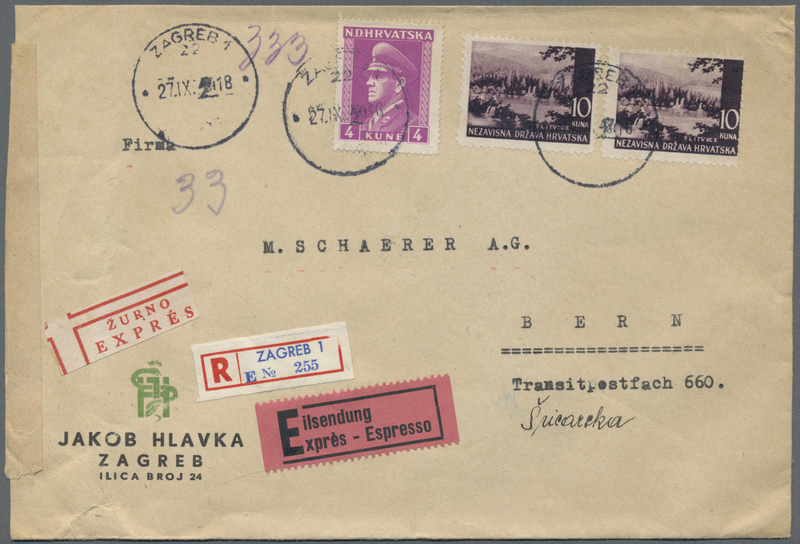 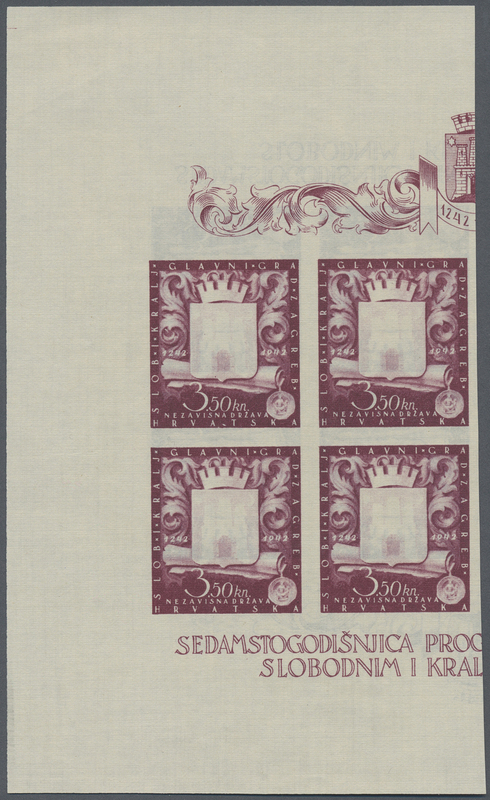 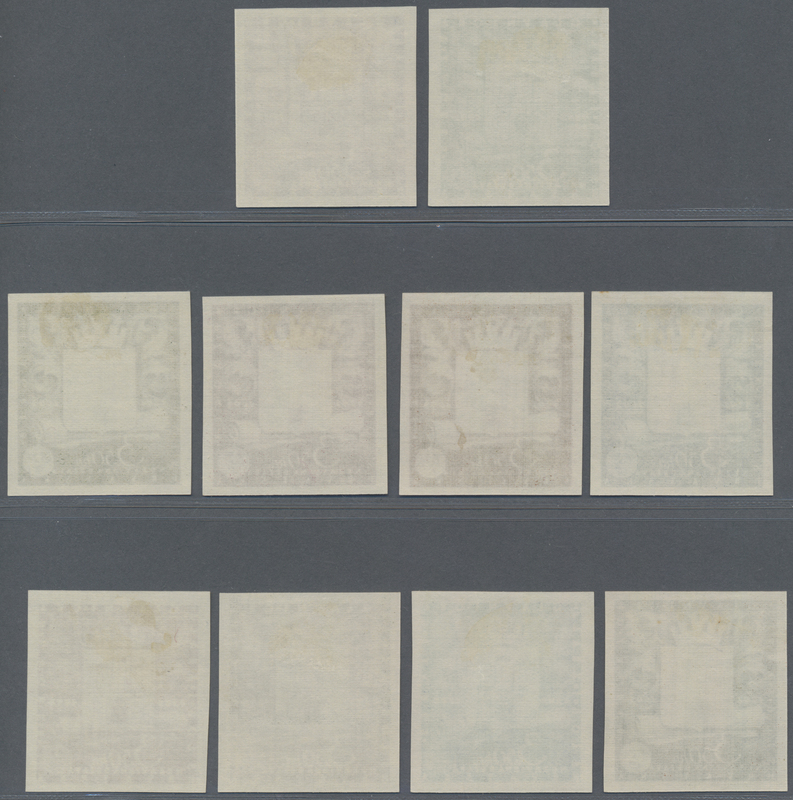 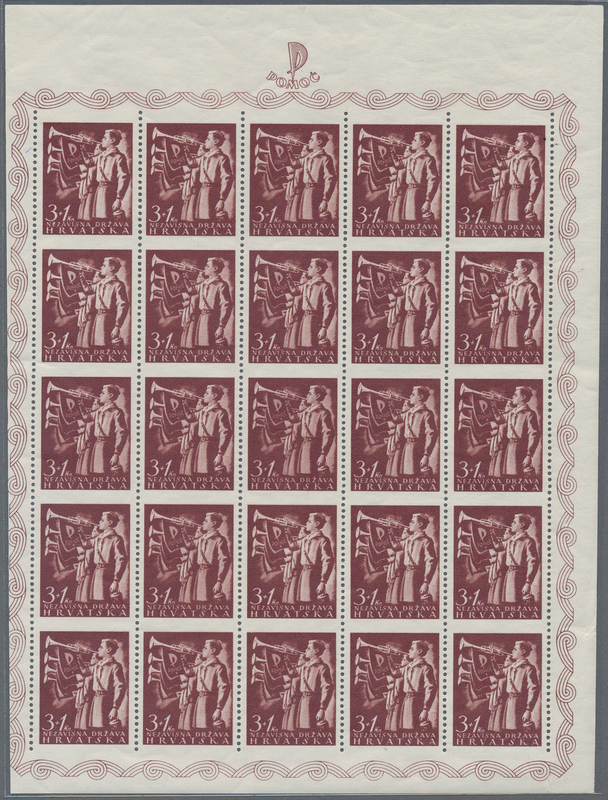 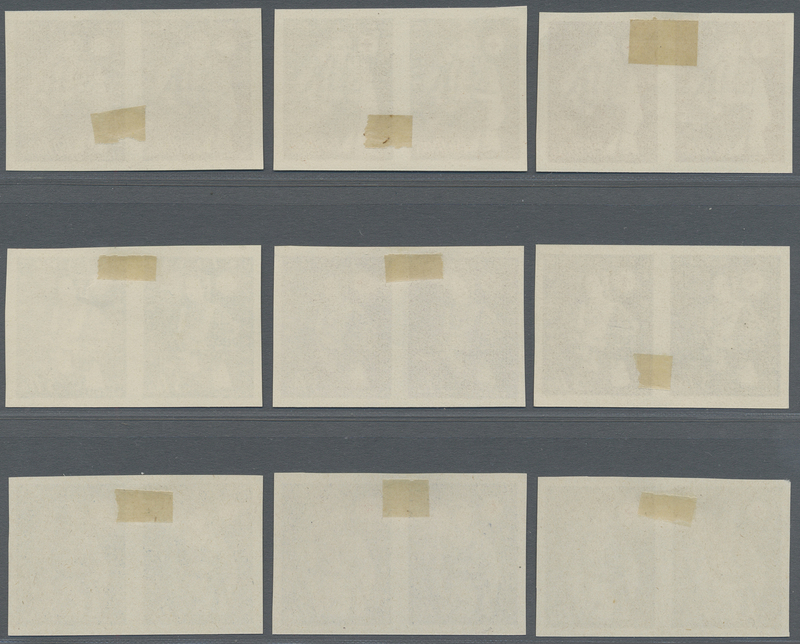 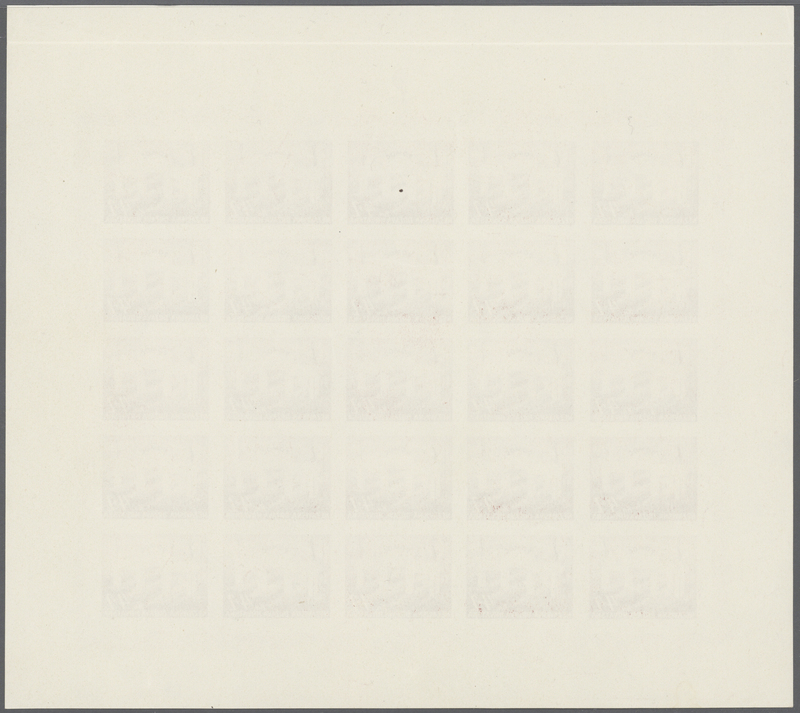 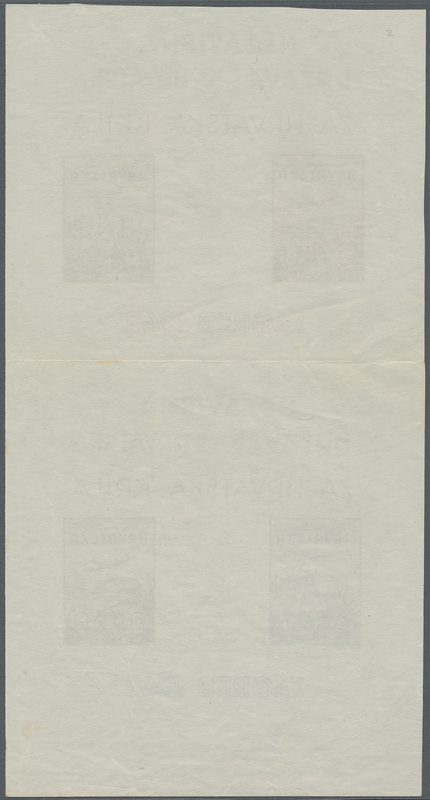 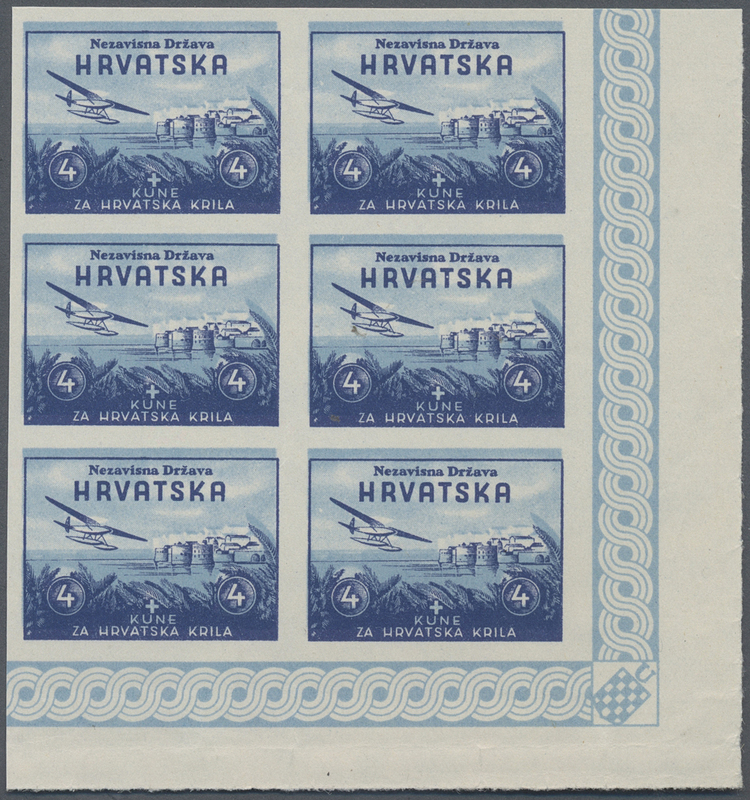 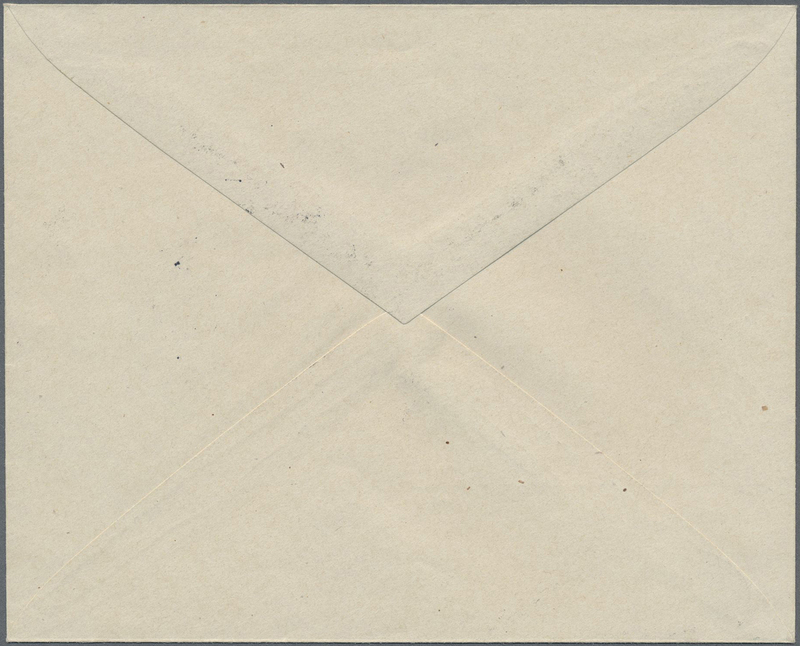 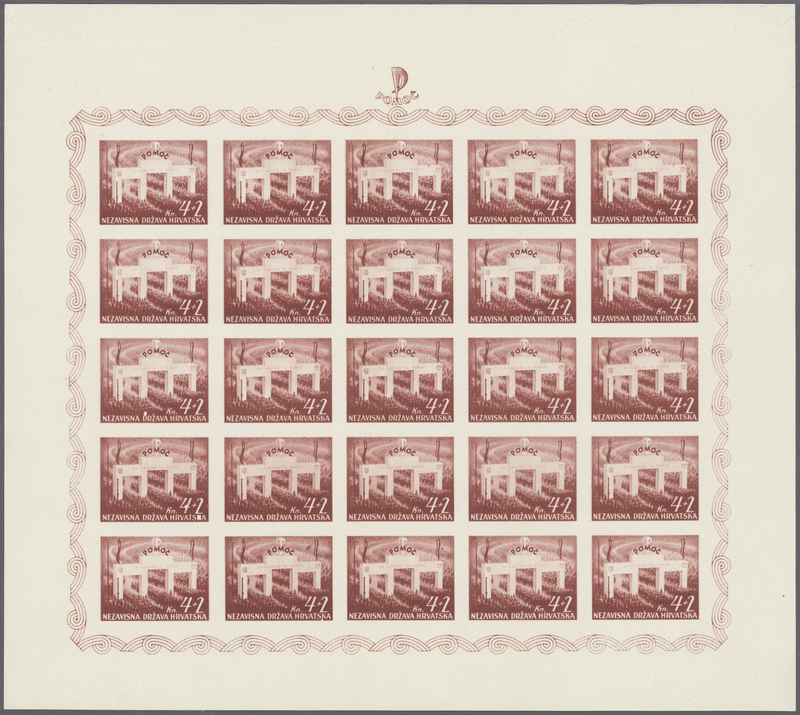 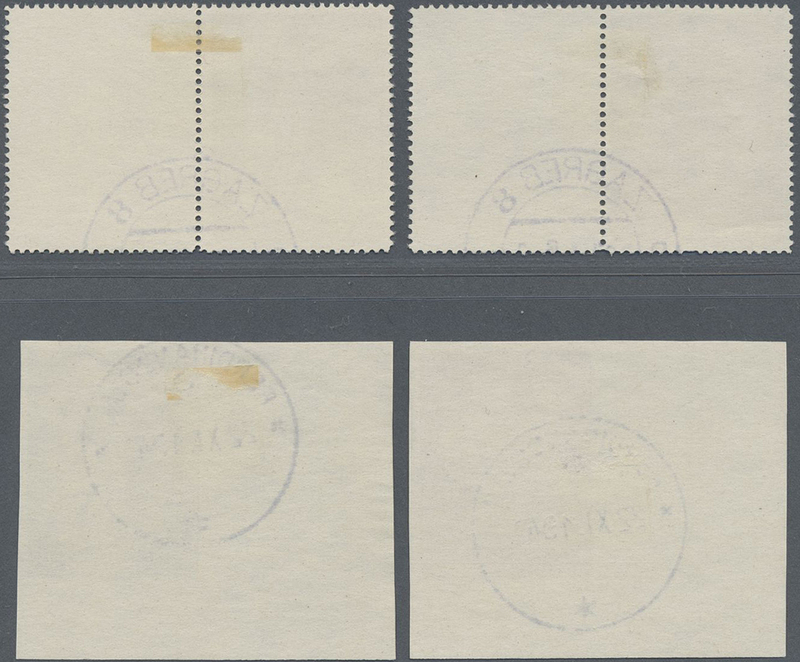 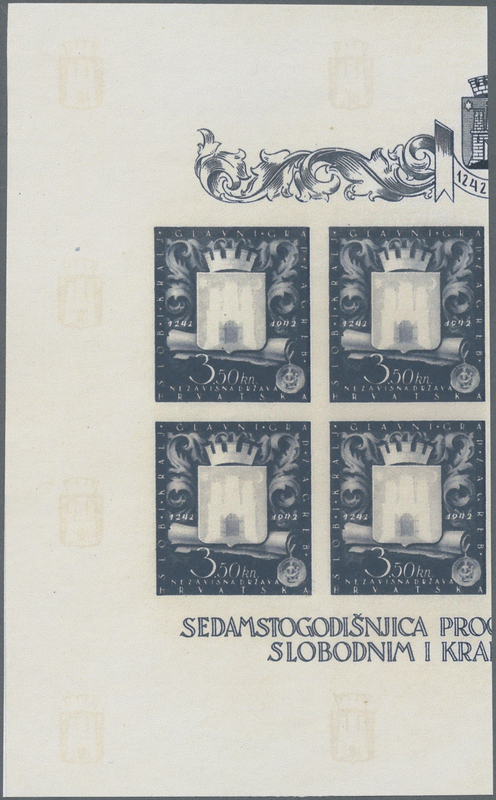 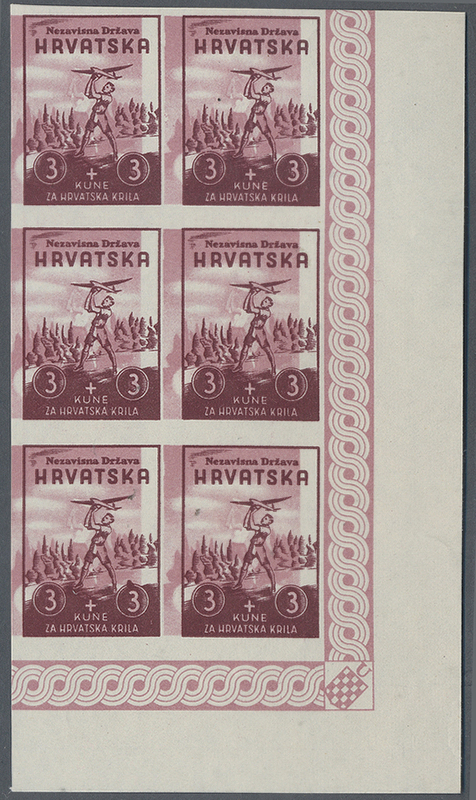 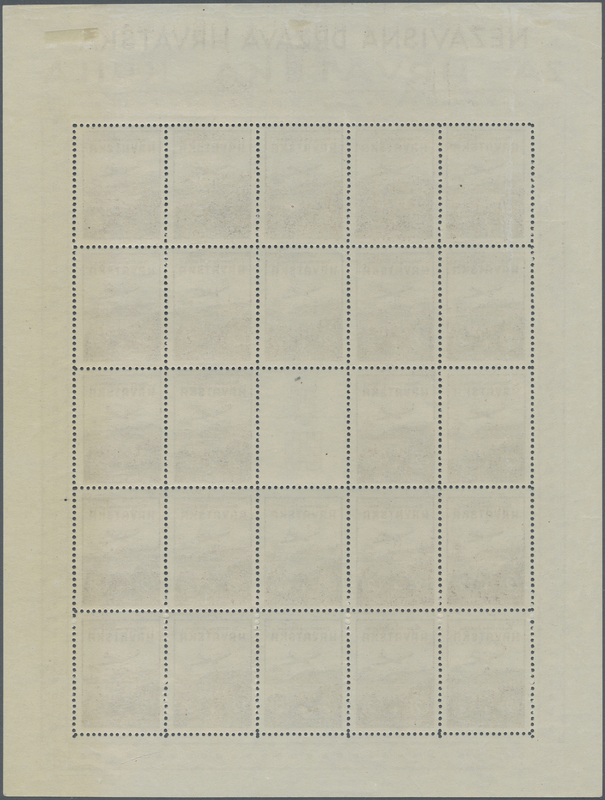 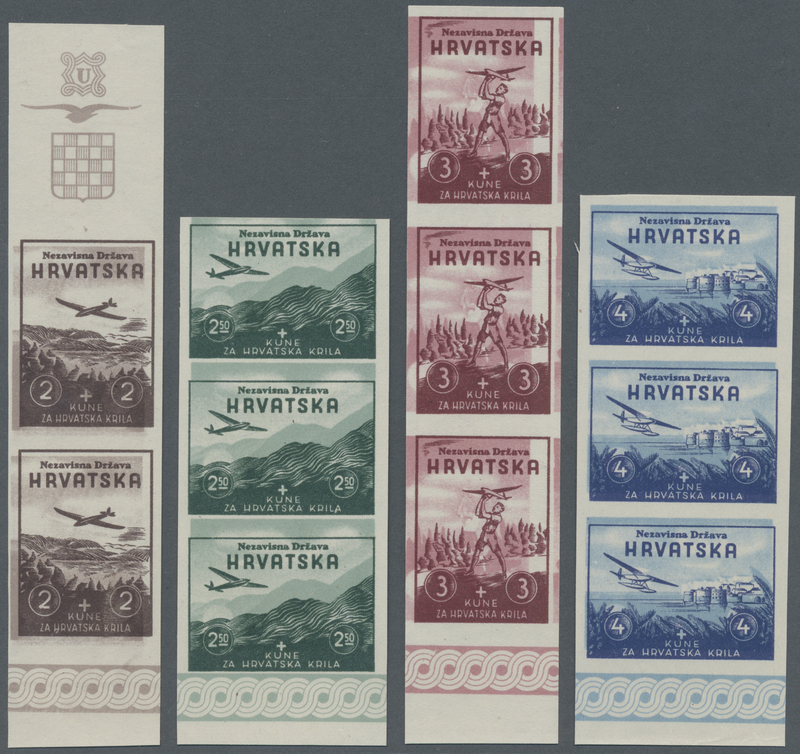 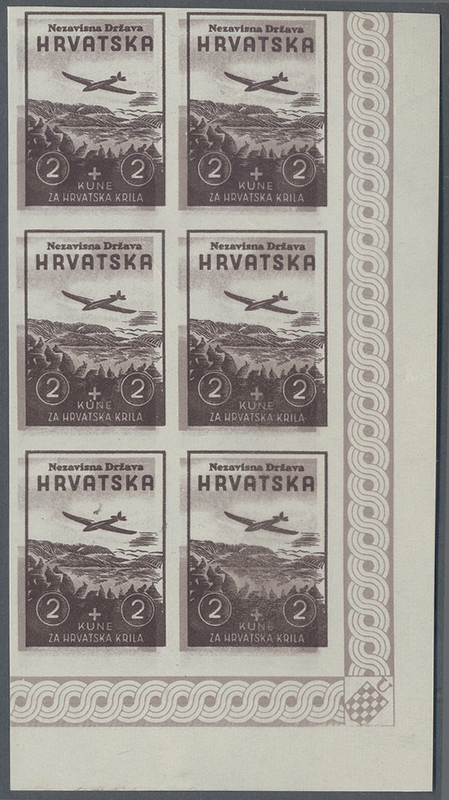 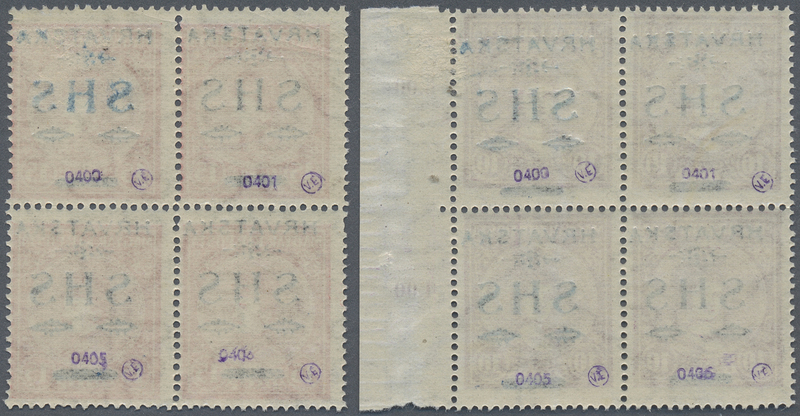 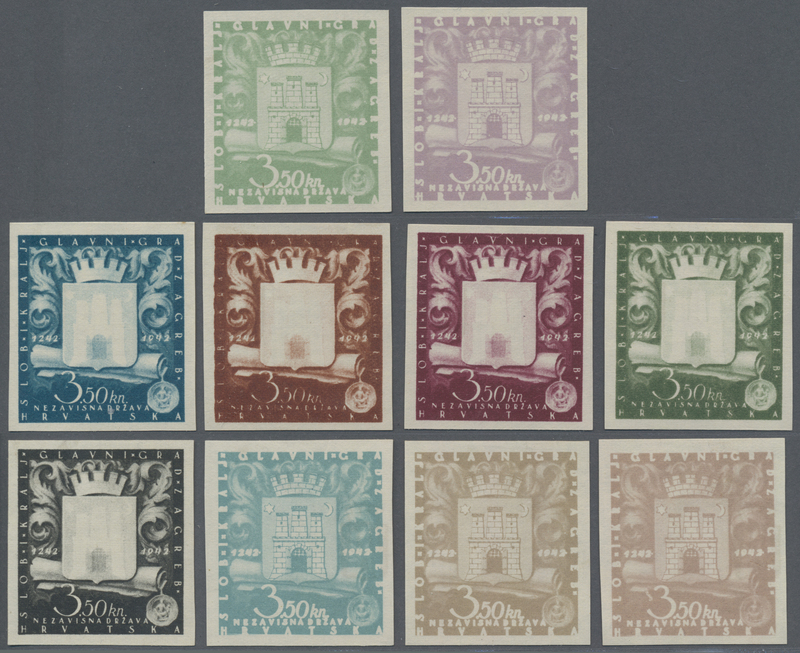 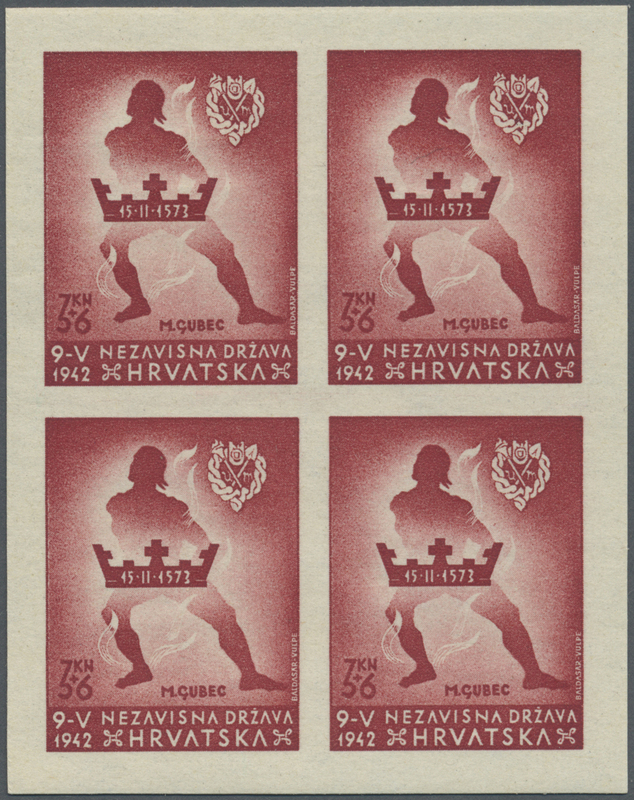 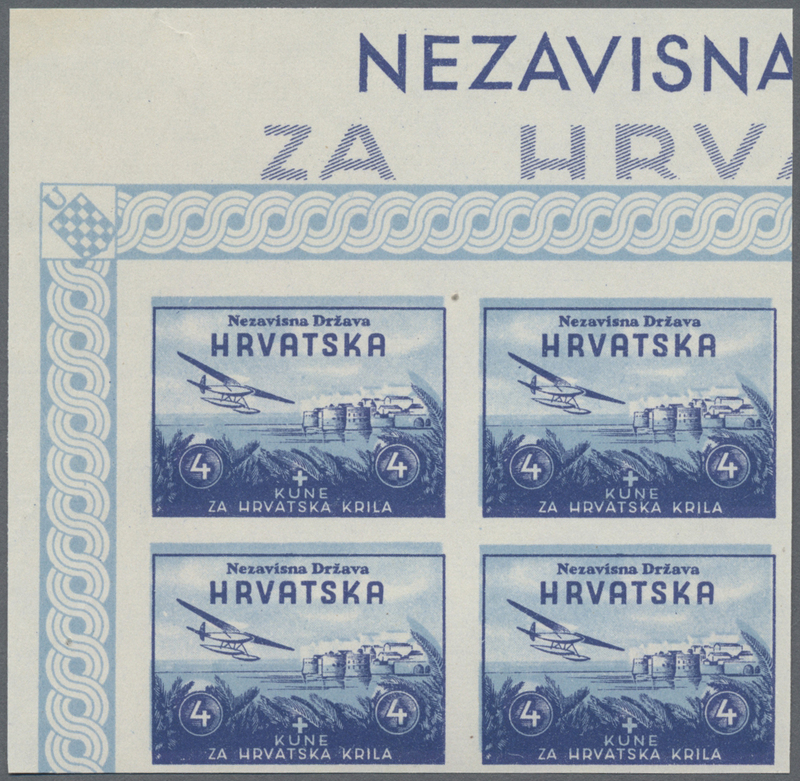 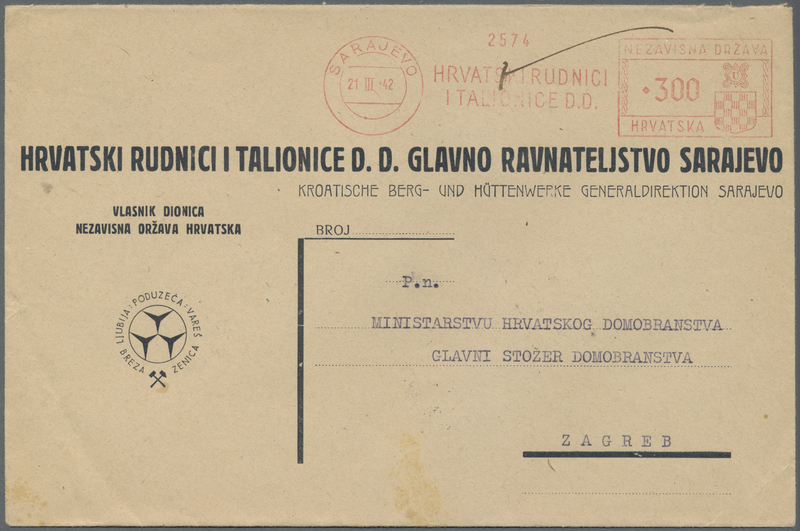 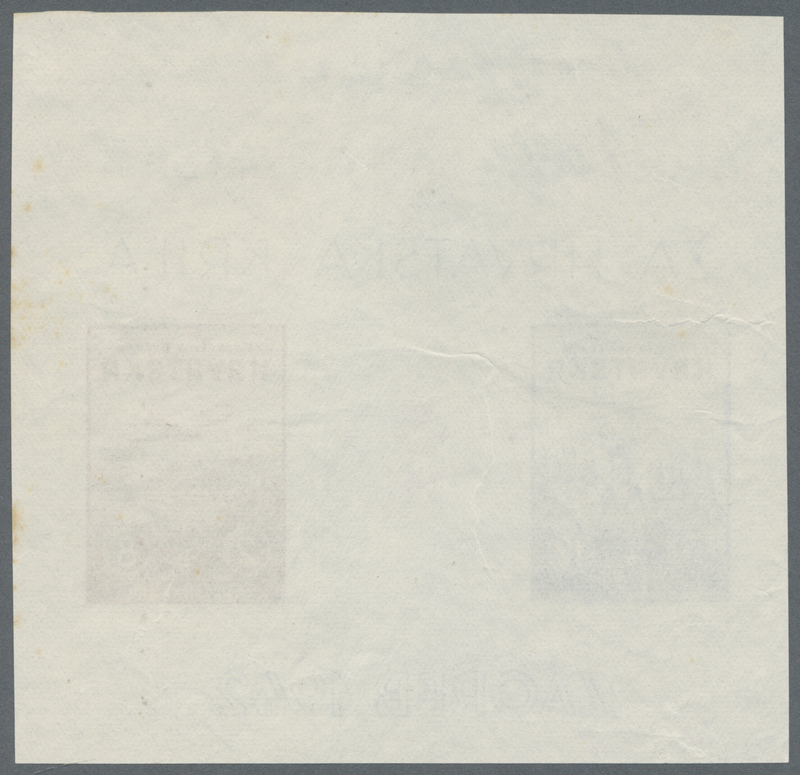 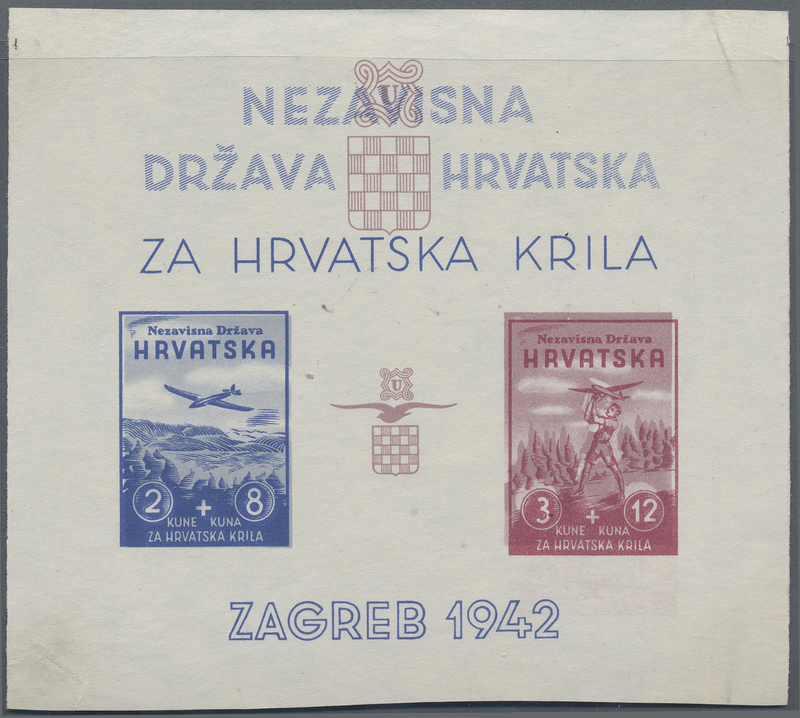 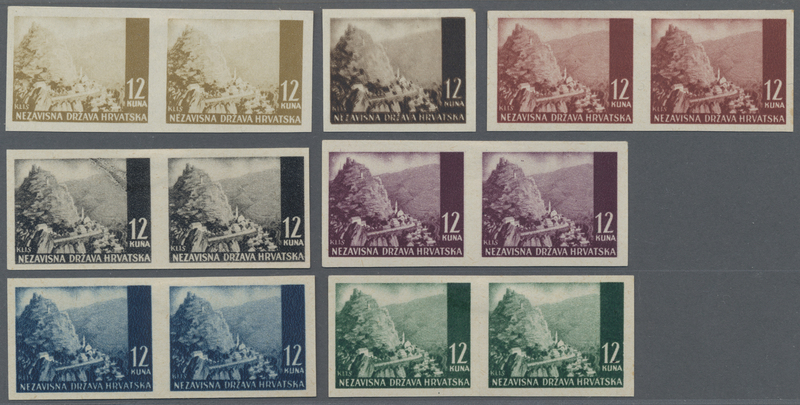 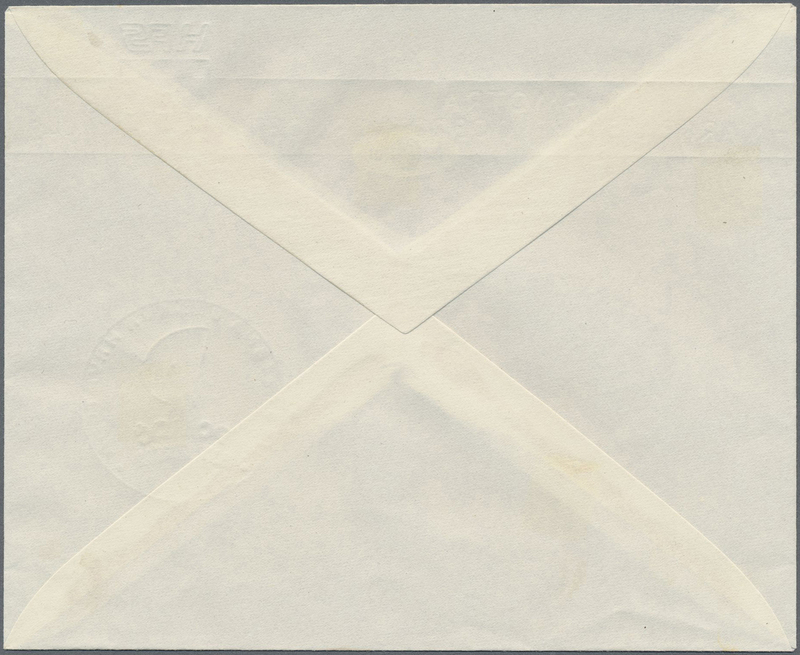 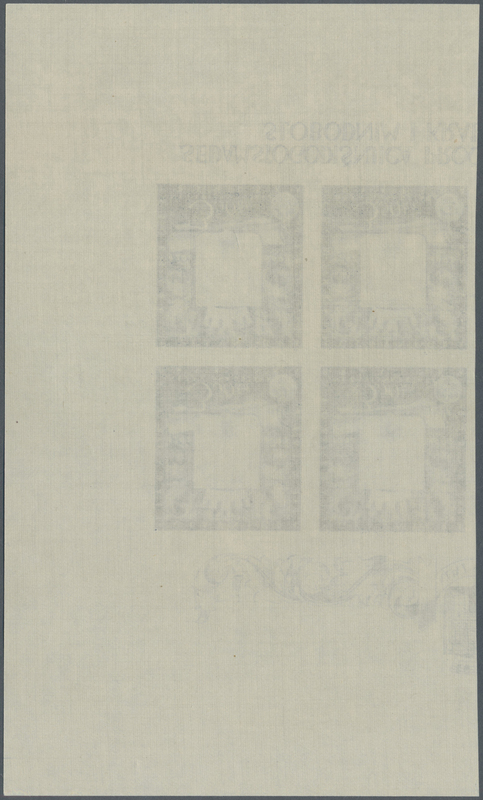 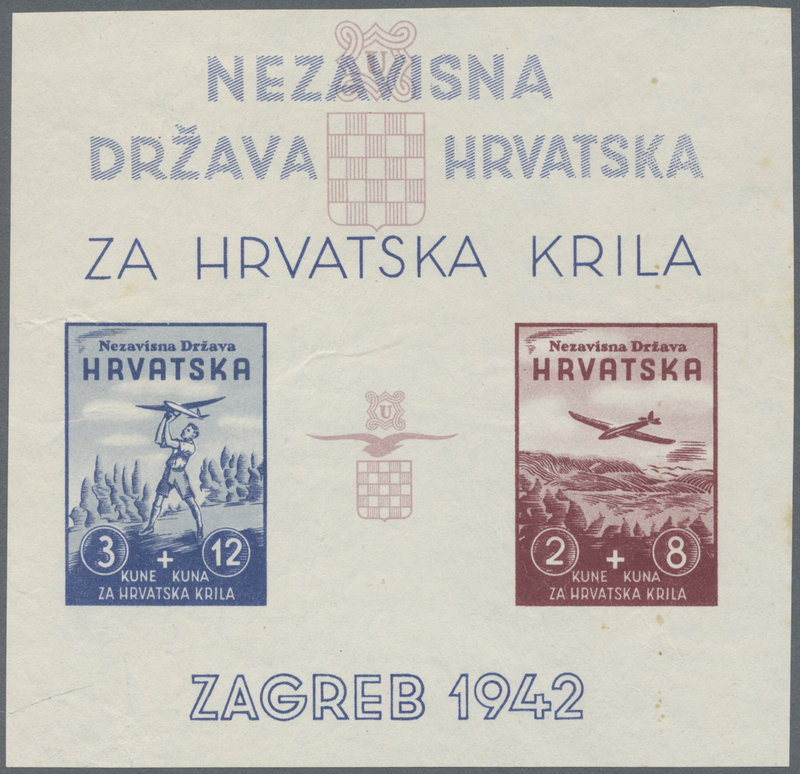 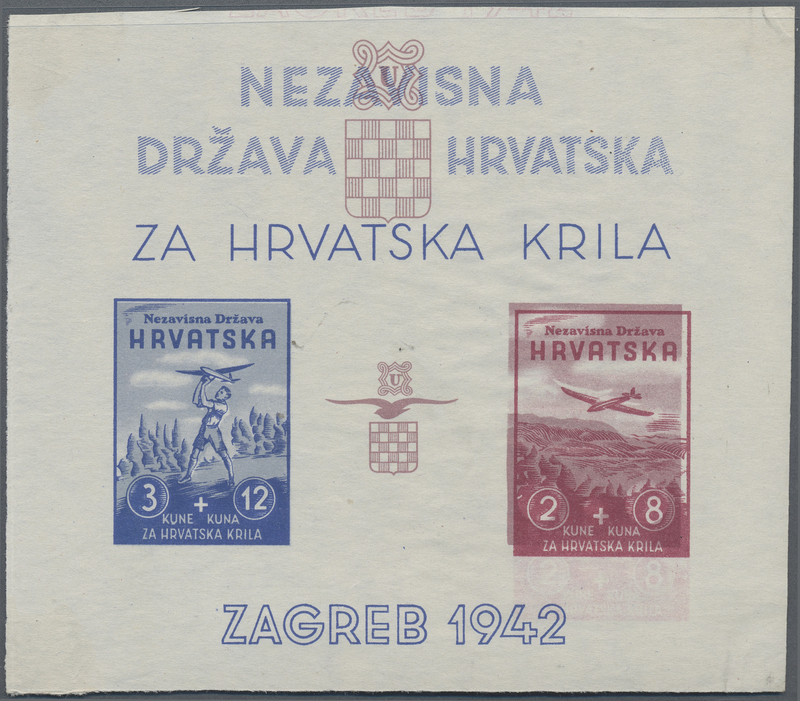 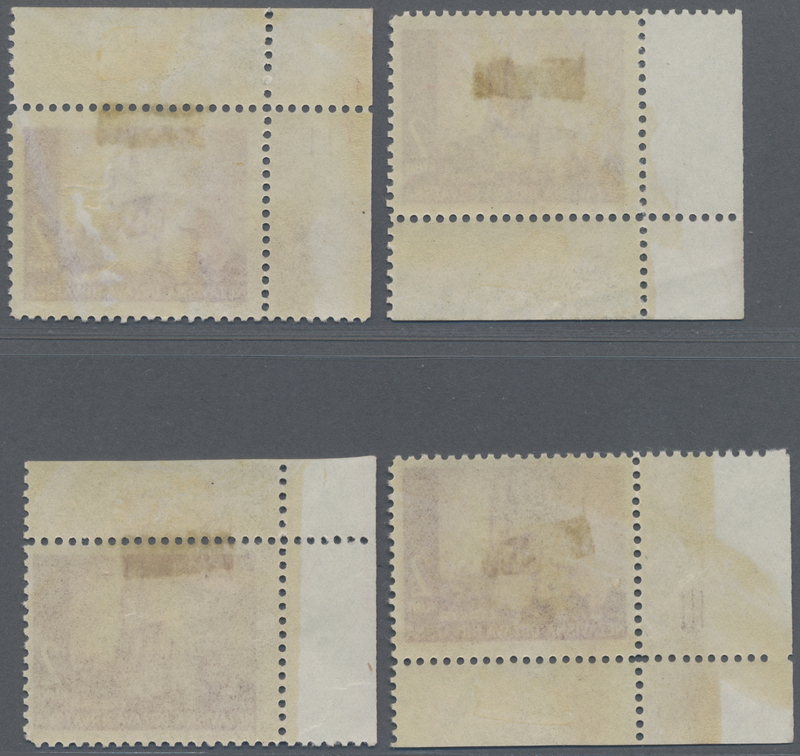 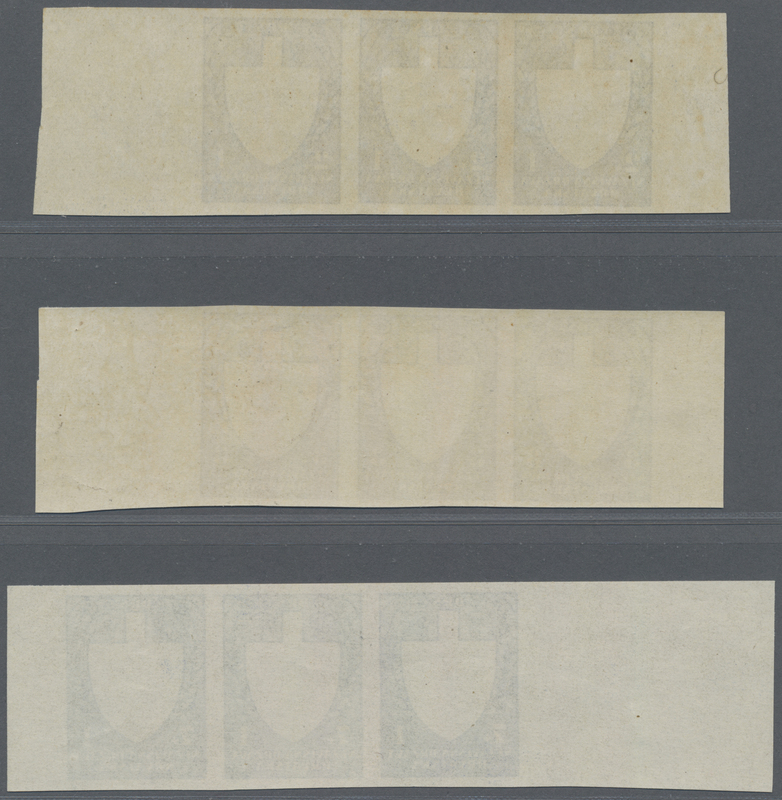 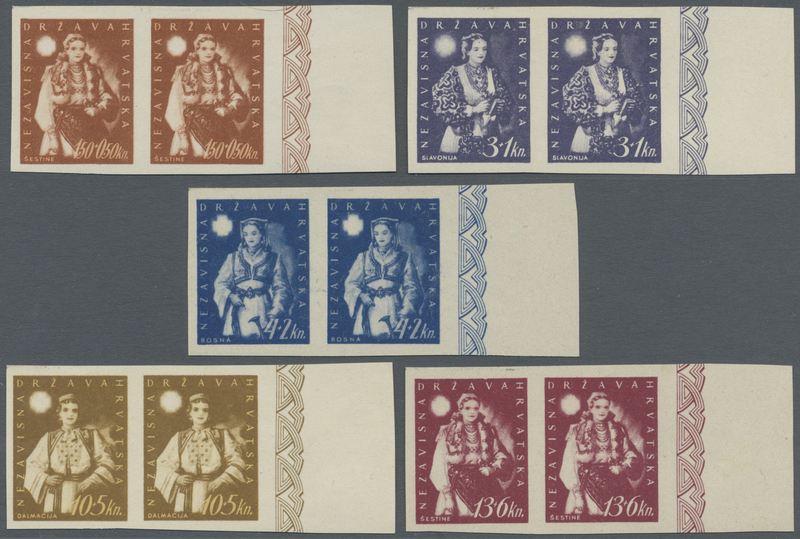 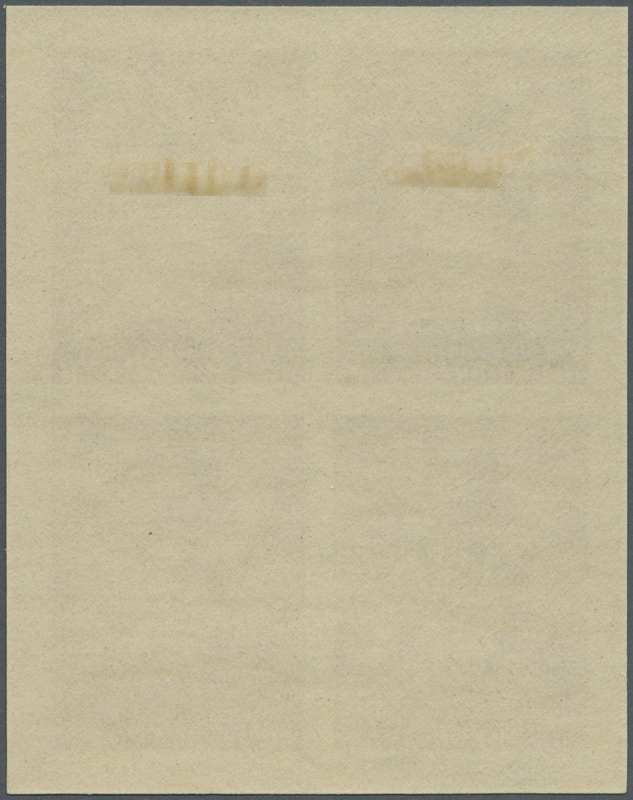 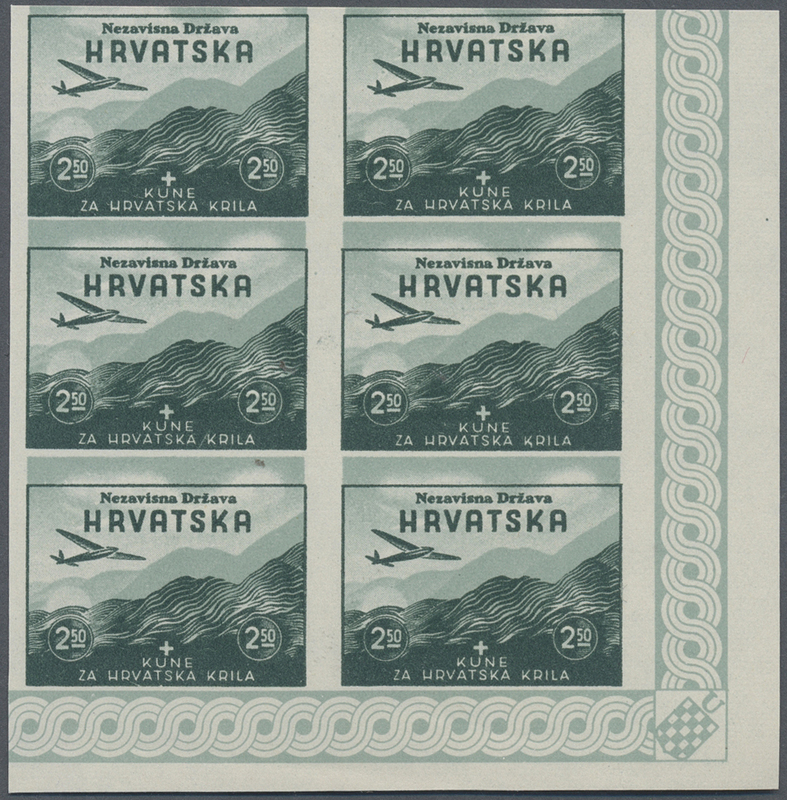 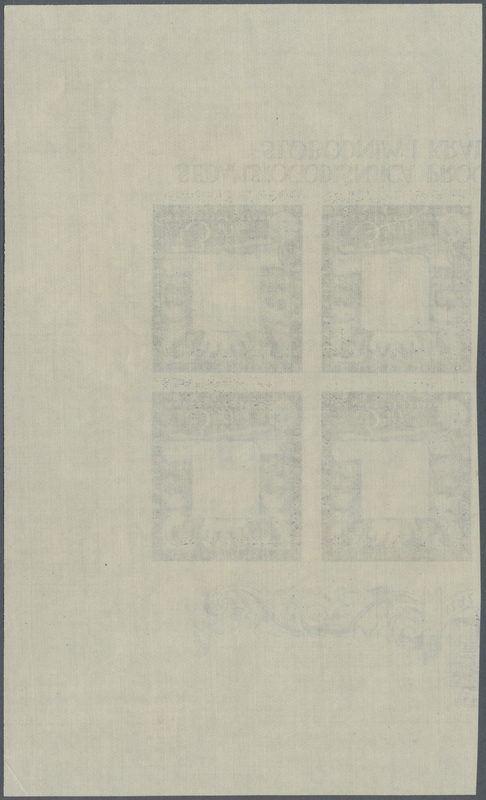 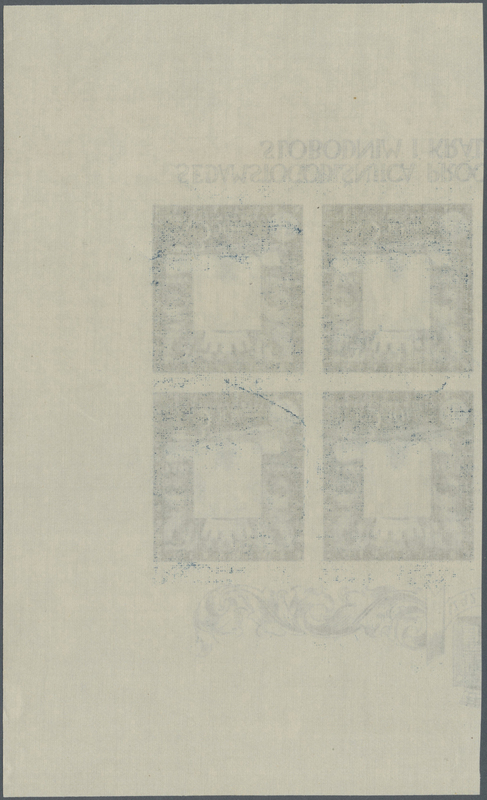 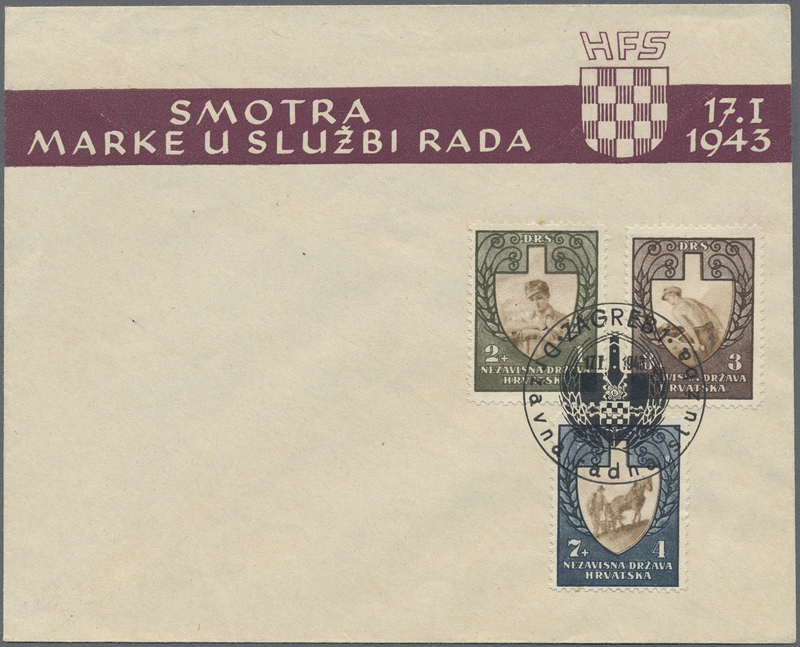 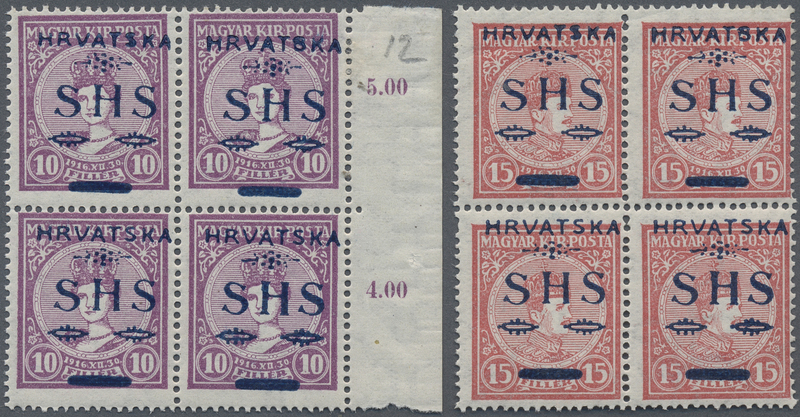 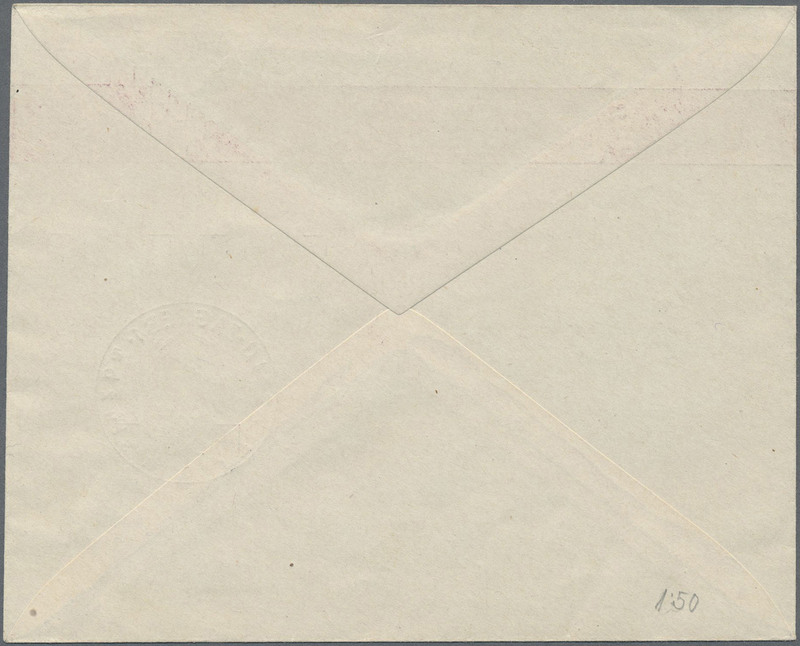 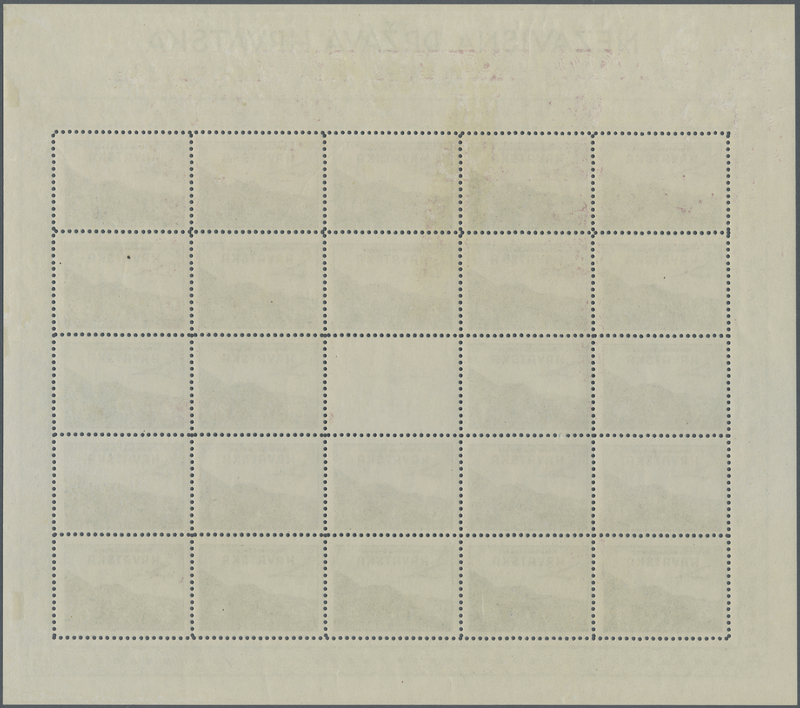 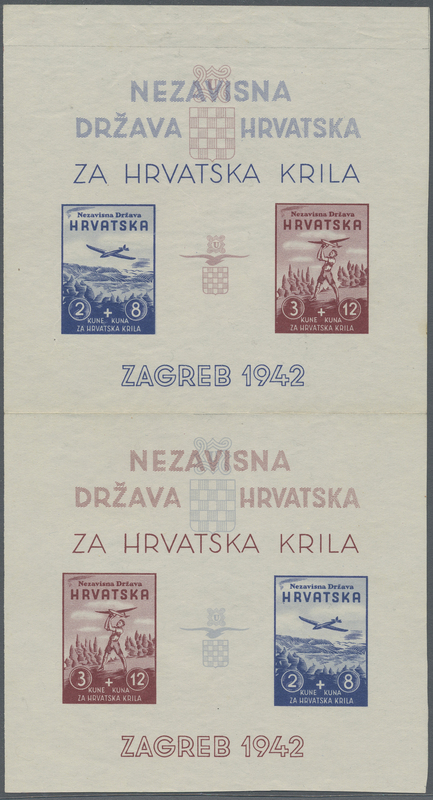 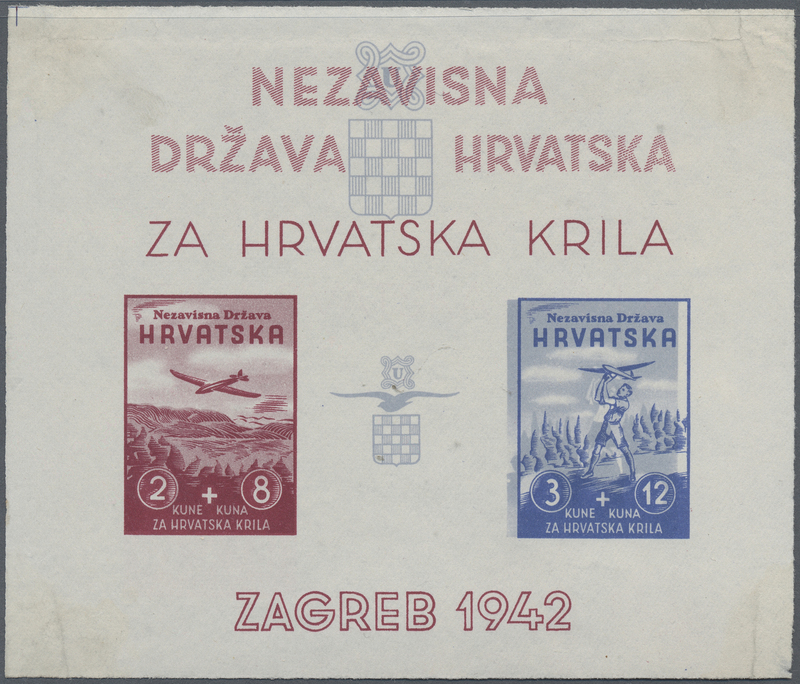 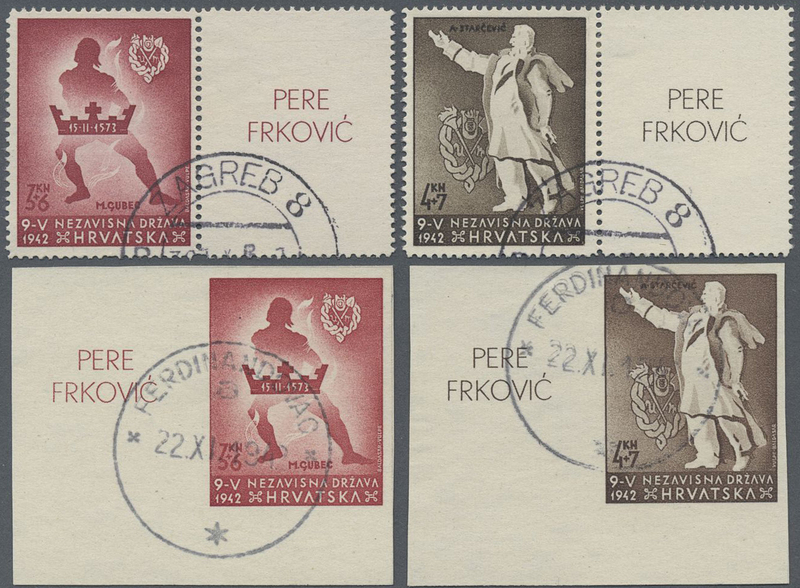 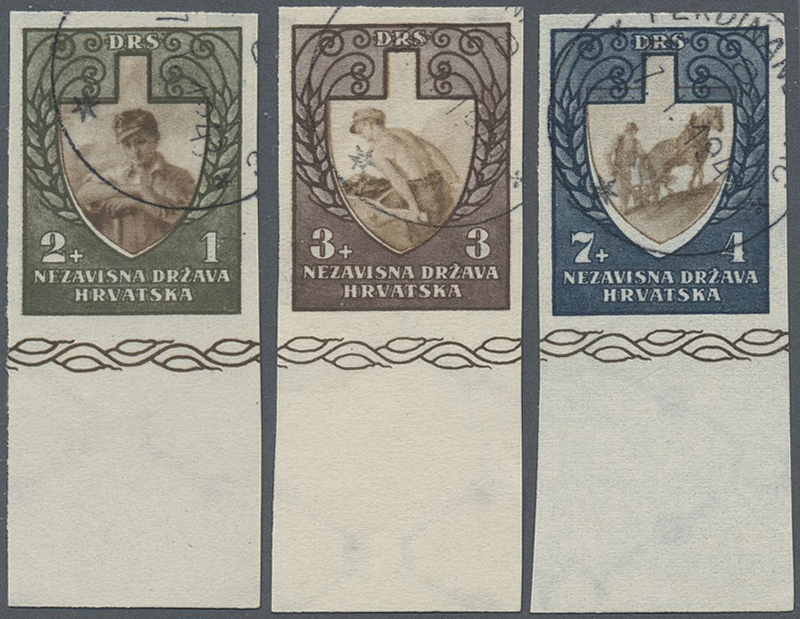 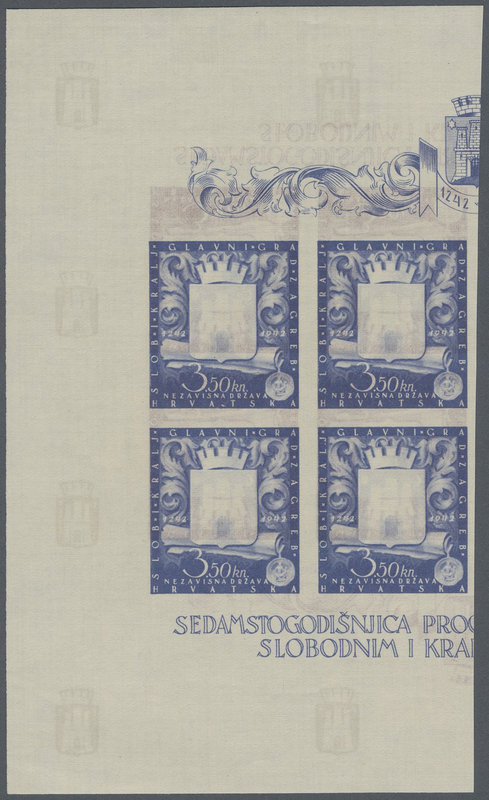 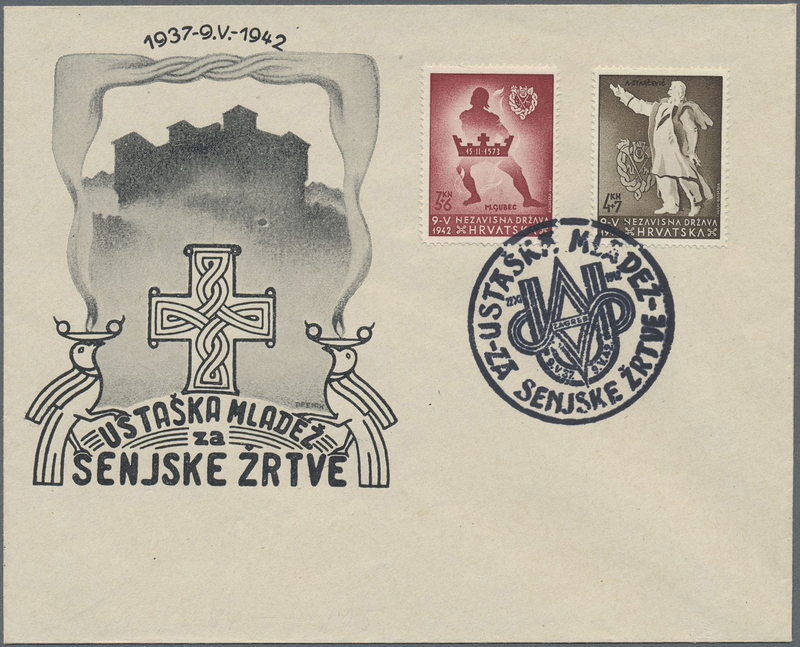 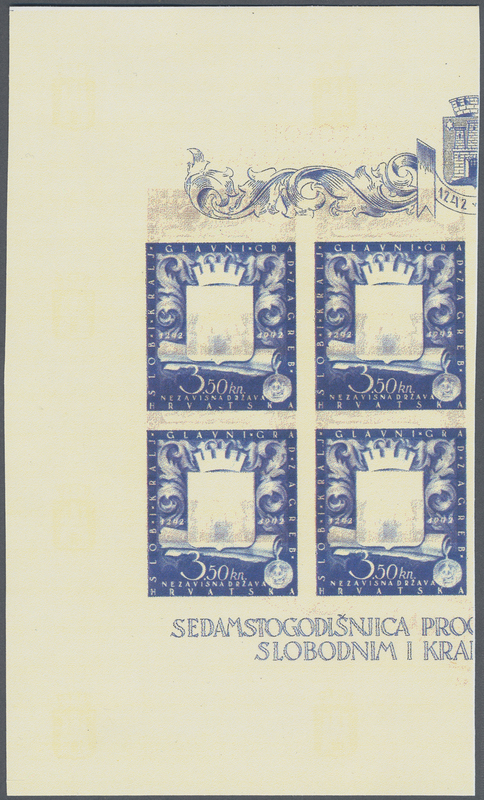 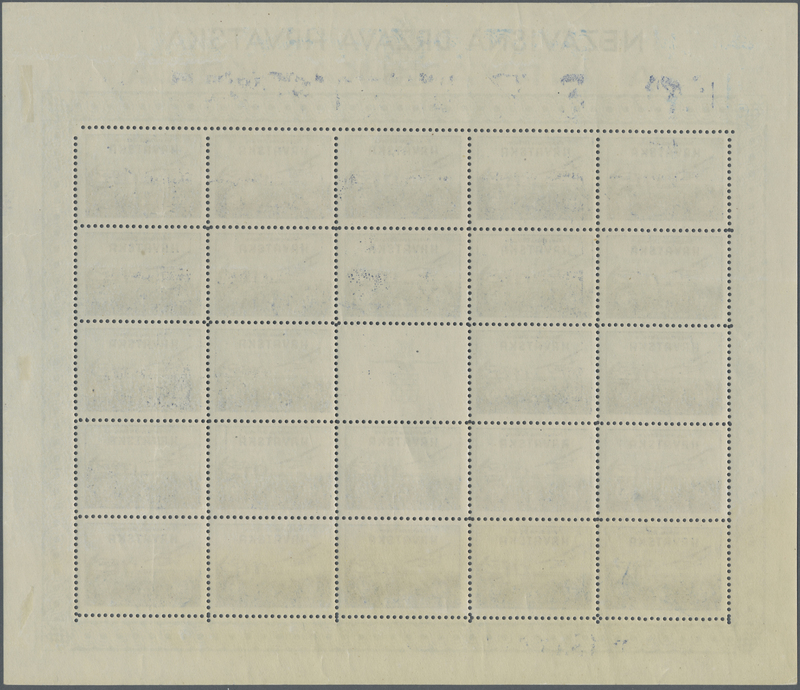 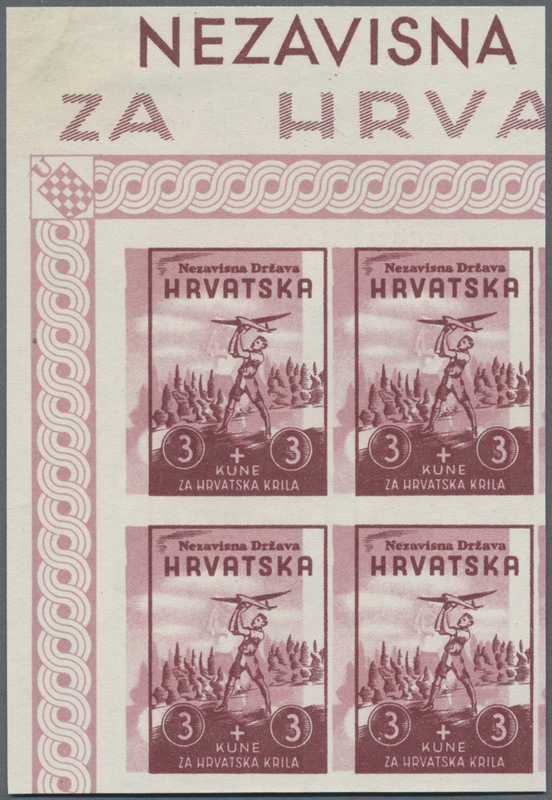 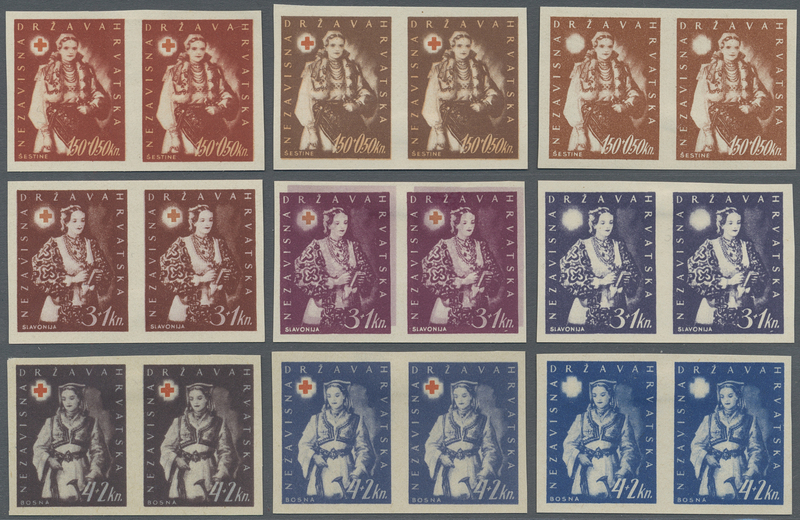 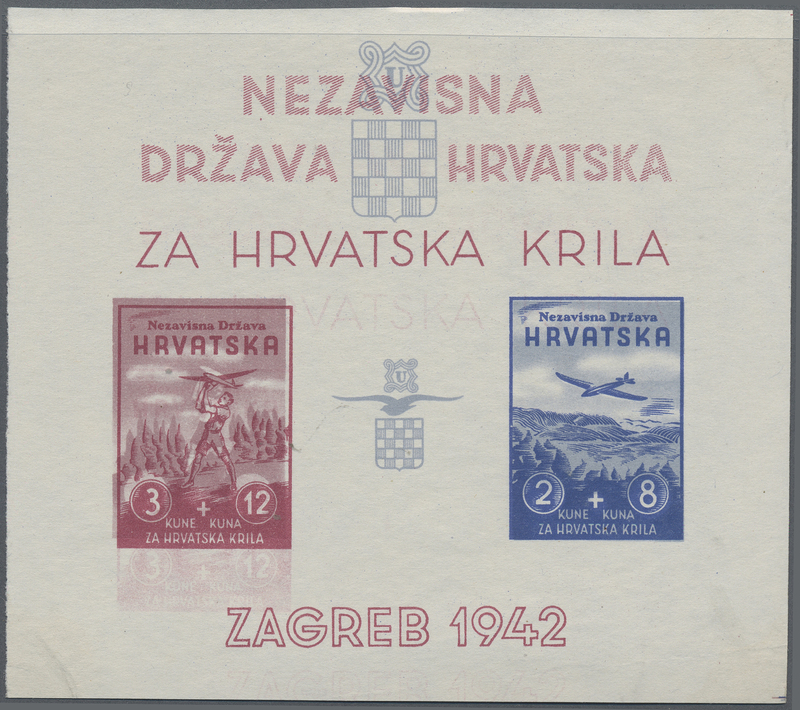 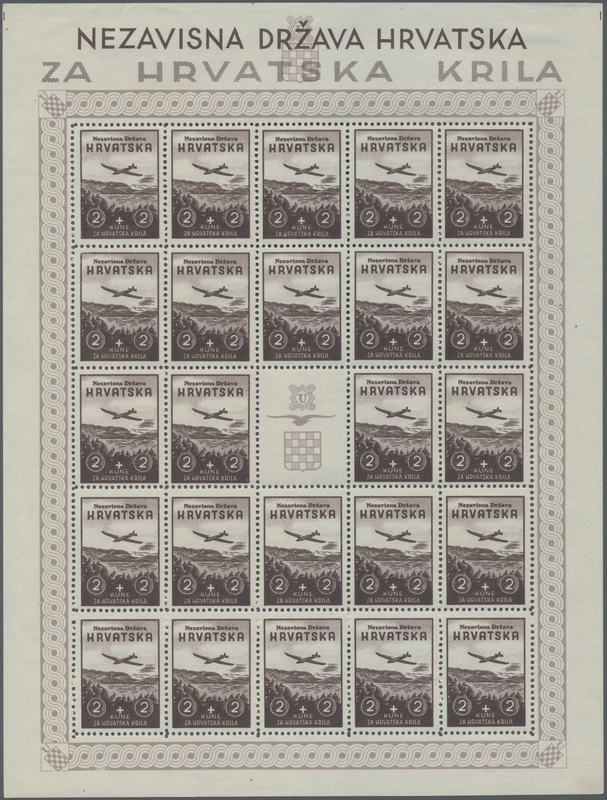 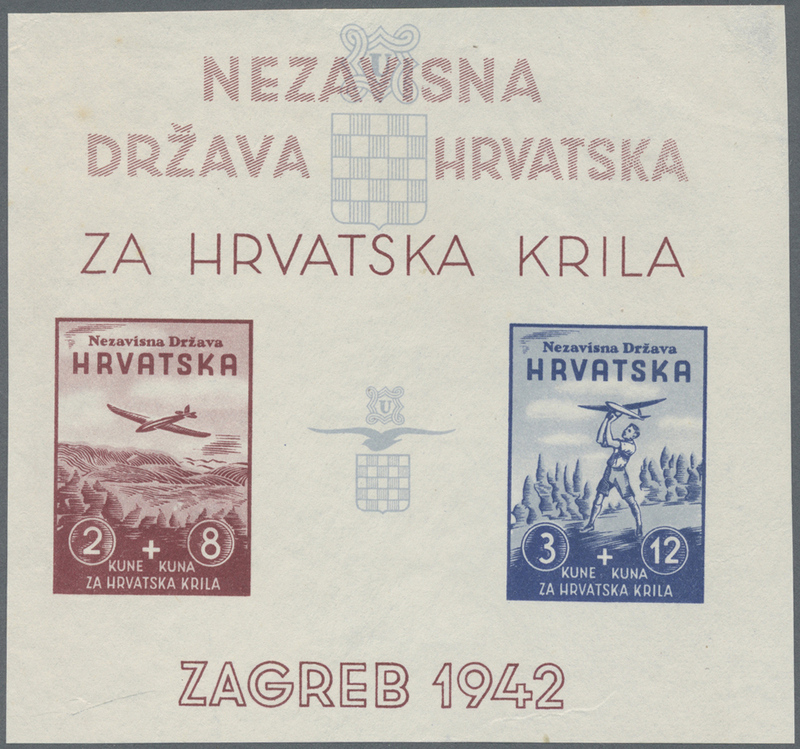 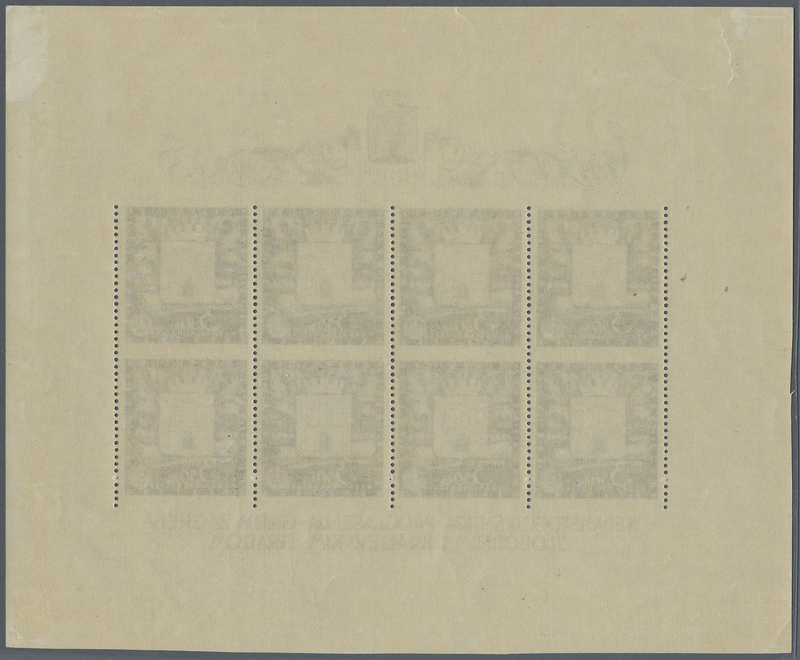 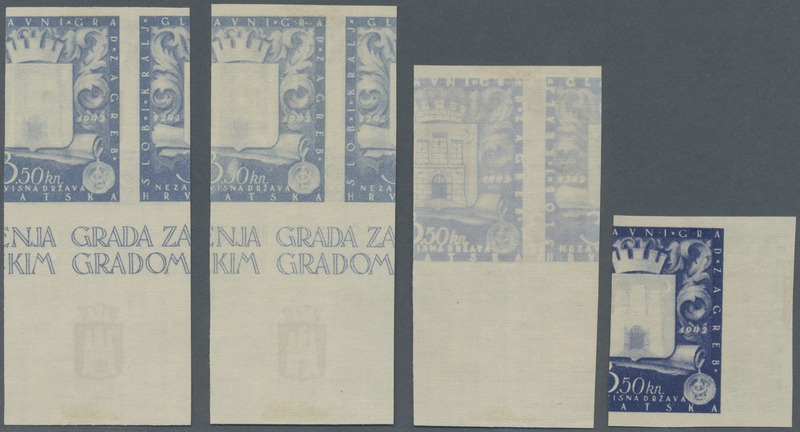 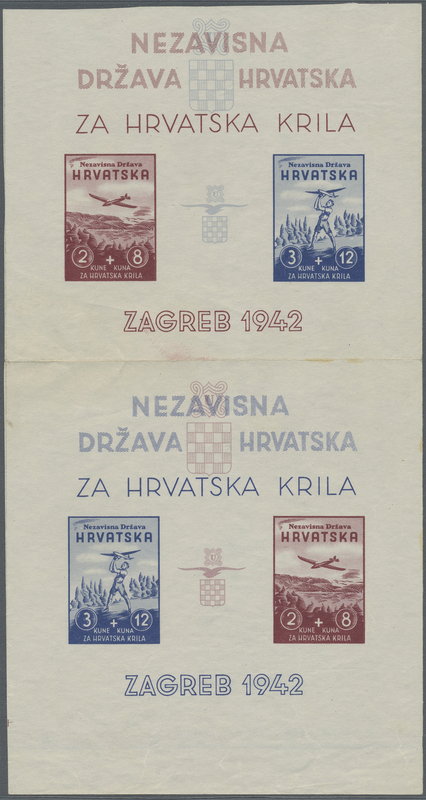 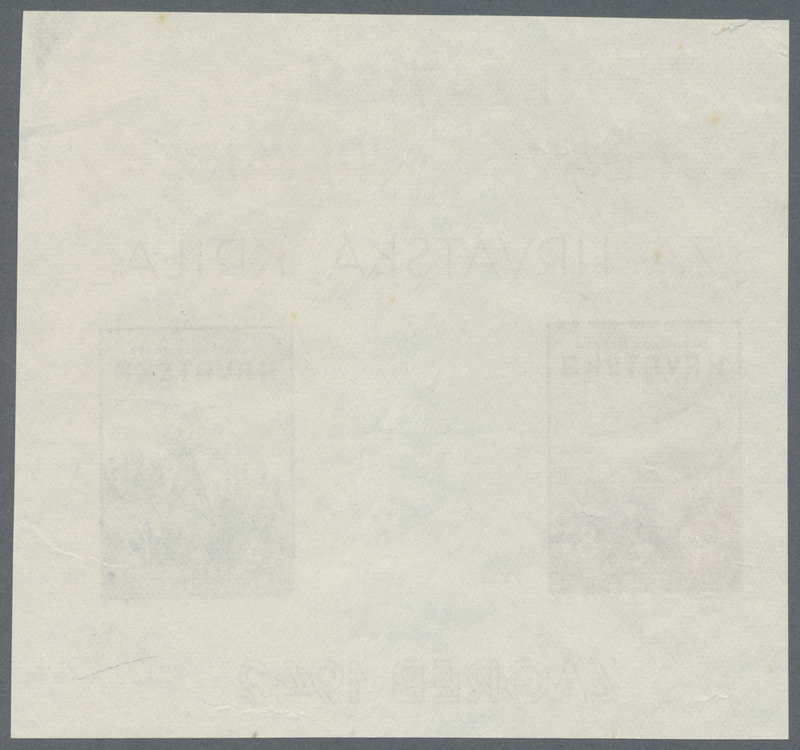 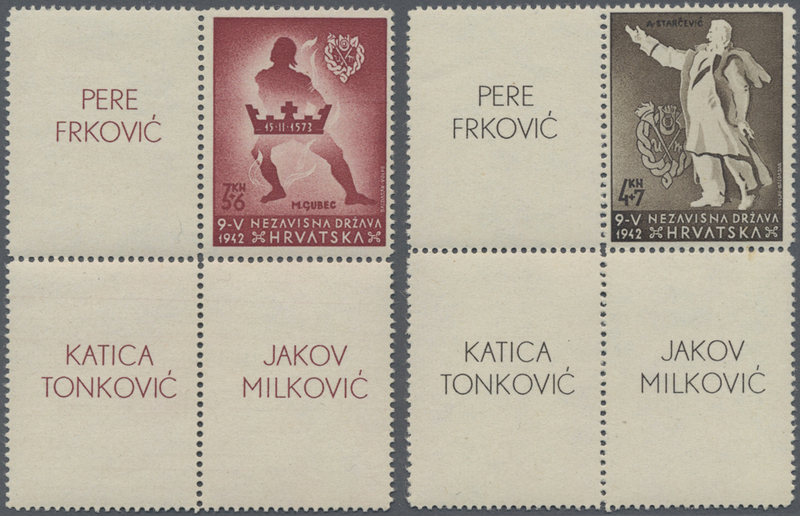 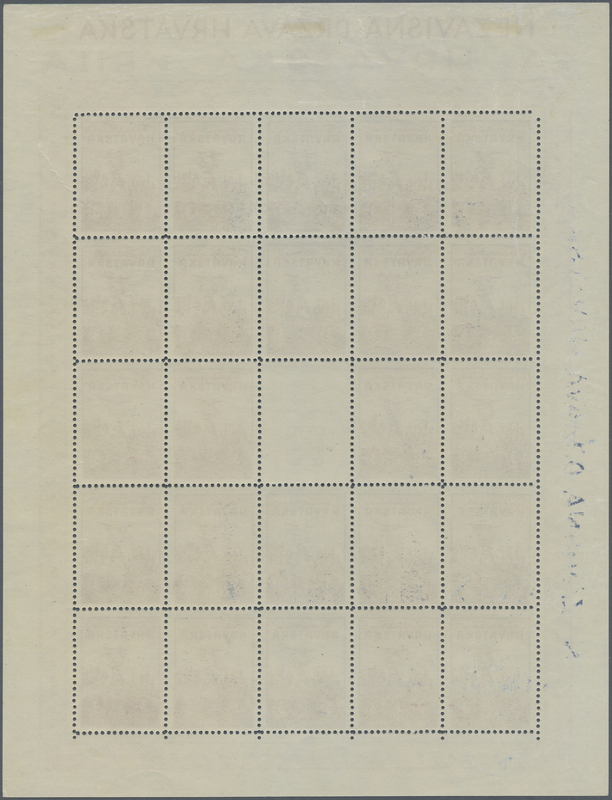 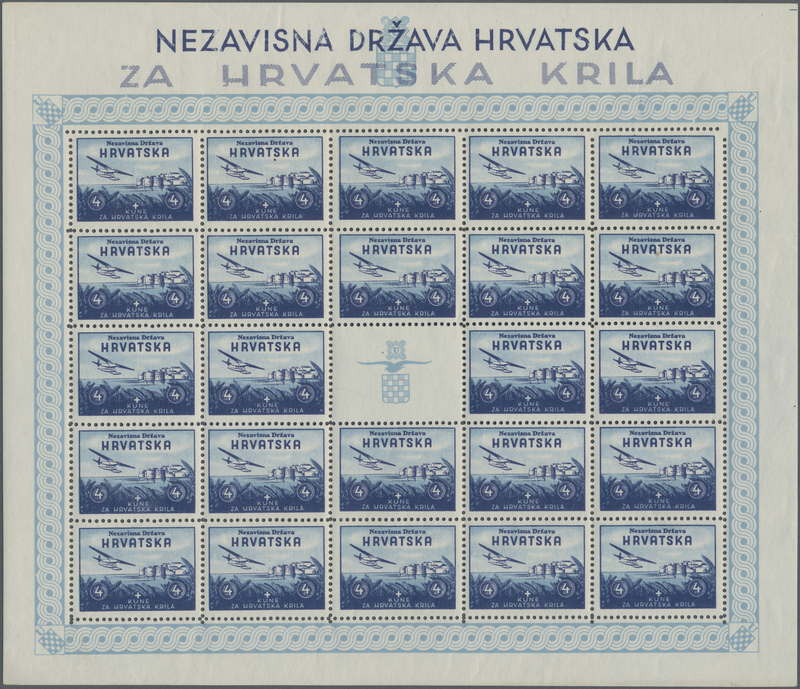 3K red-brown, 3K deep red-brown (two shades), 3K deep blue and 3K purple-brown, as issued, IMPERF, all on ungummed white wove paper from 2nd version of Pictorial Ministerial Album (for values issued in 1942). 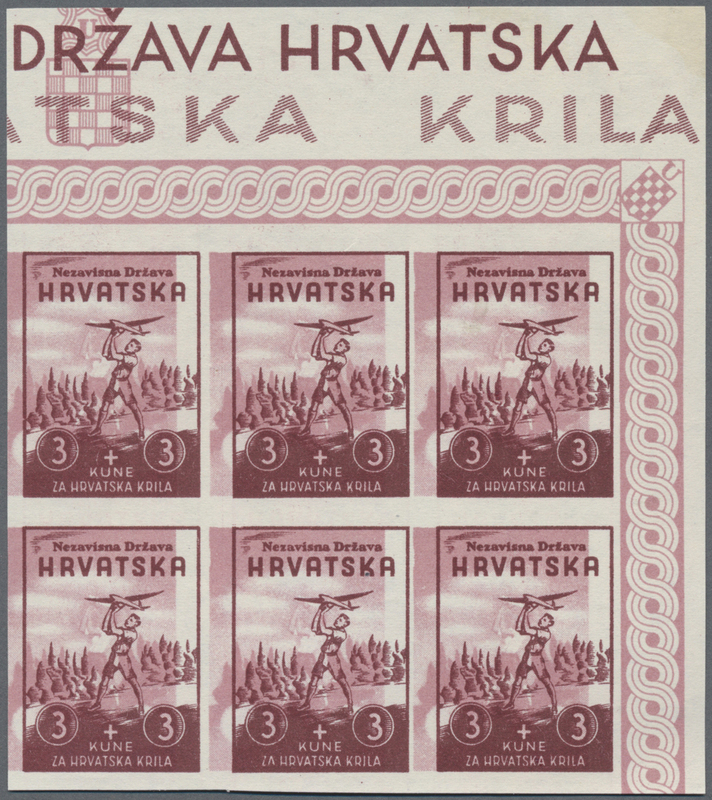 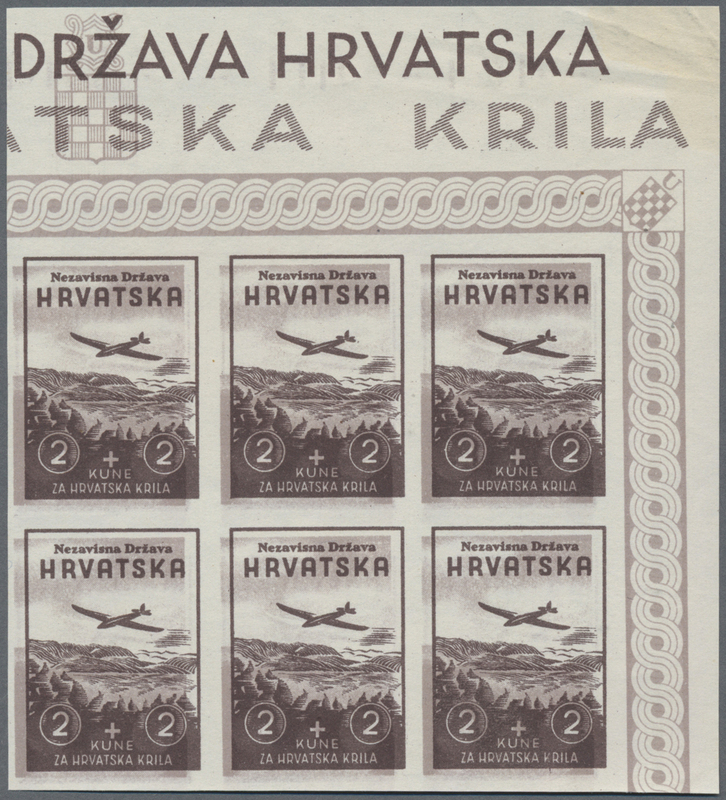 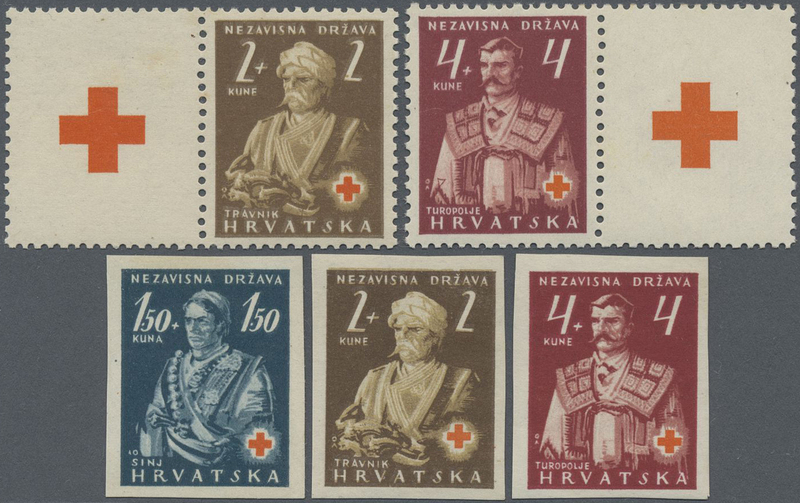 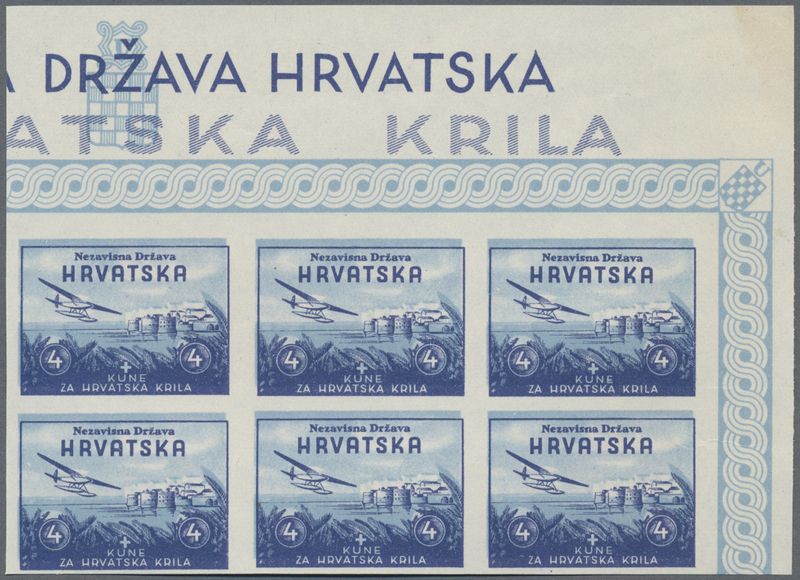 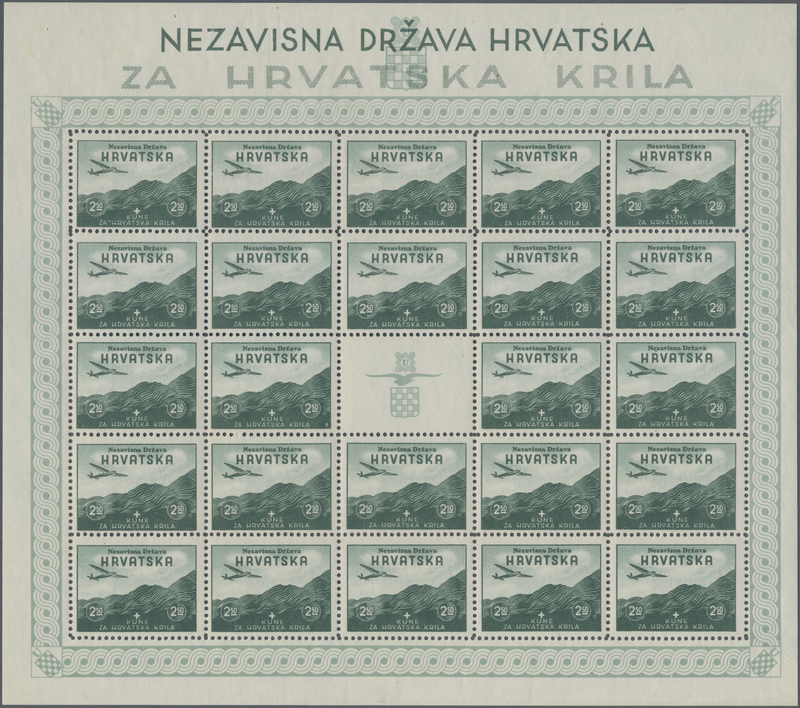 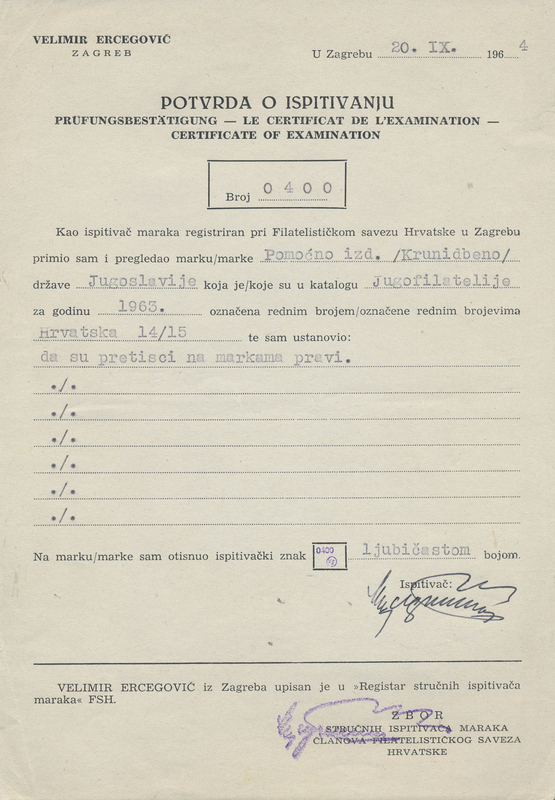 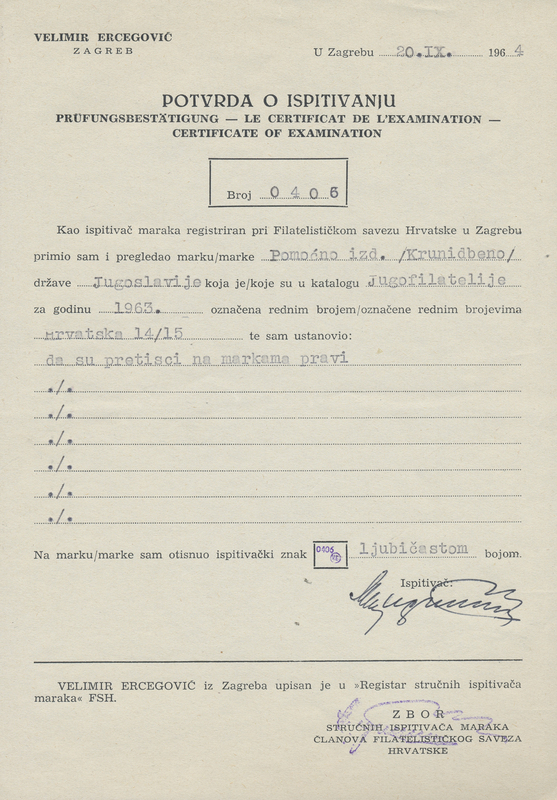 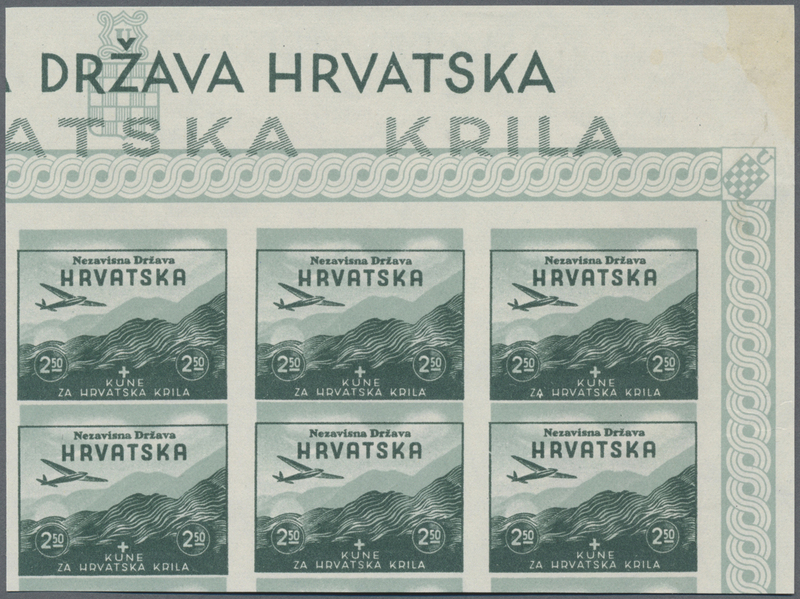 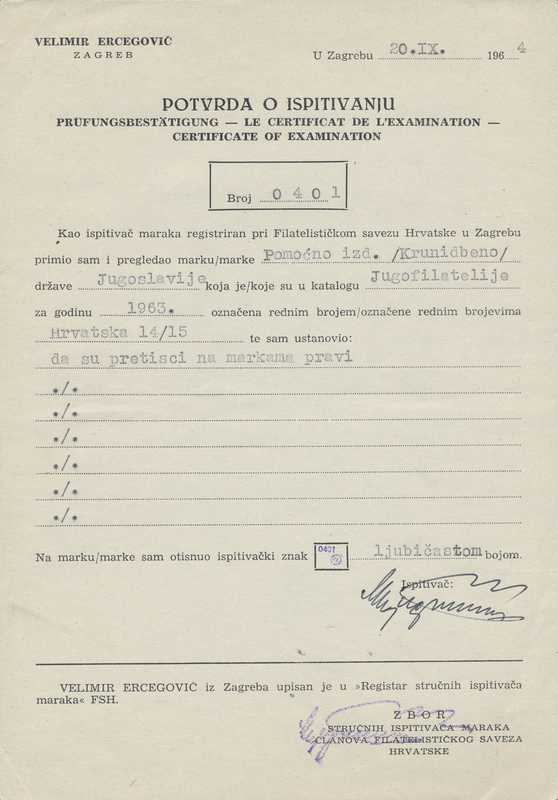 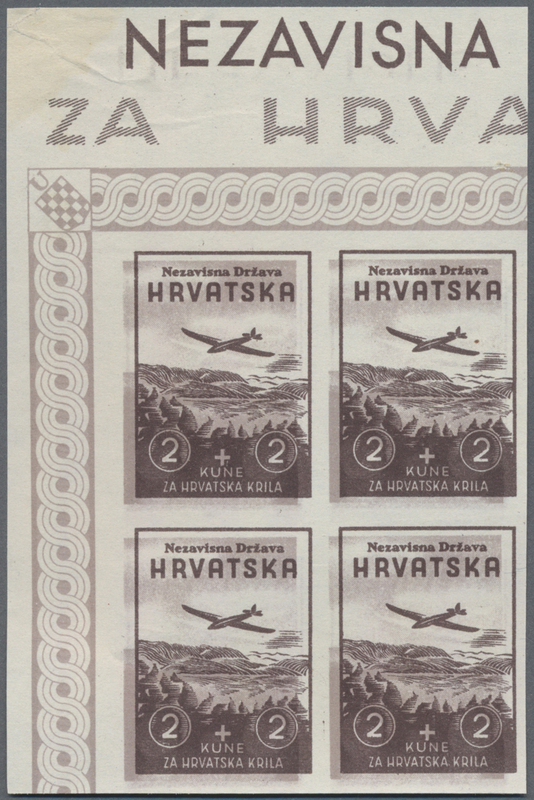 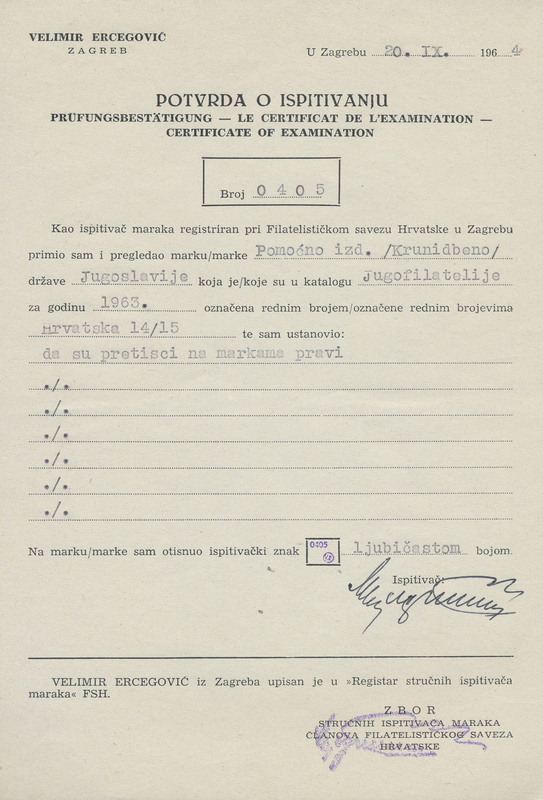 COMPLETE LINE (Prof. V. Ercegovic, “Hrvatska Filatelija”, p.233). 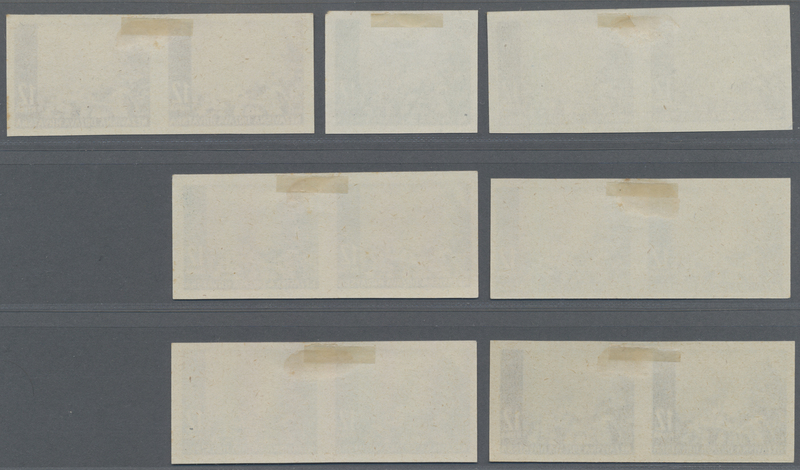 17734 ungebraucht ohne Gummi (unused without gum) (*) 56 U var 1942 (7 Sep). 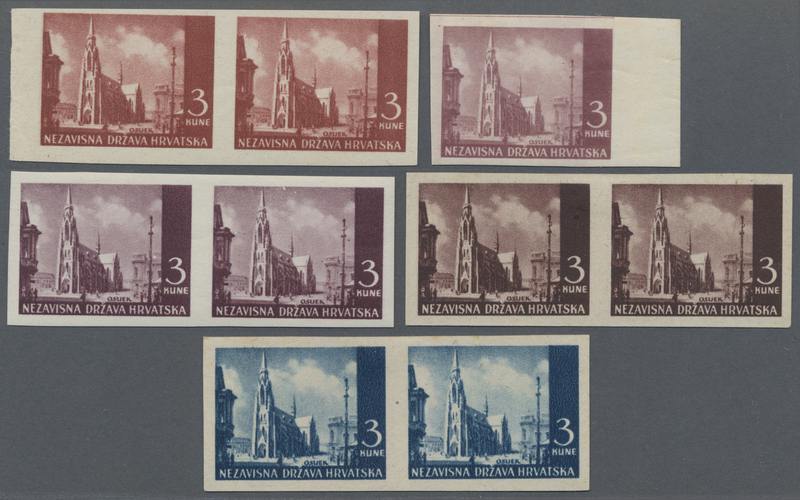 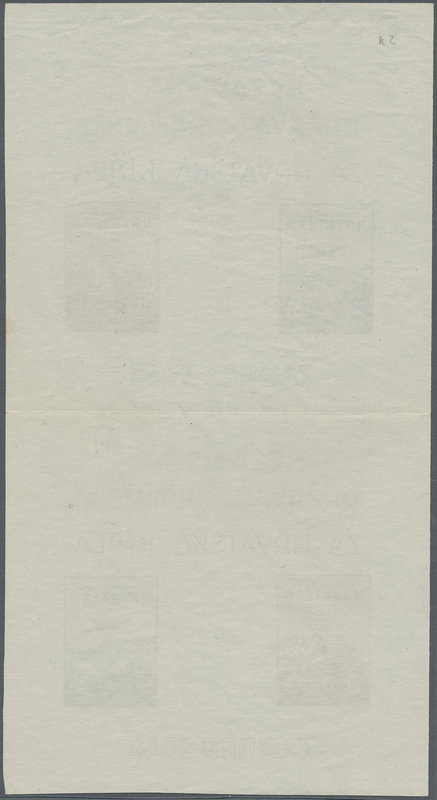 Pictorials (Modern Building in Zemun). 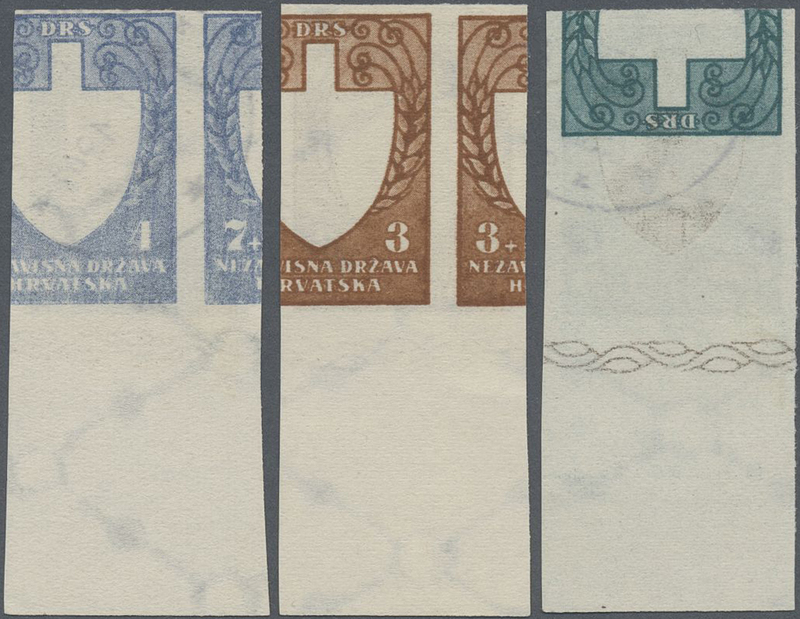 COLOUR TRIALS . 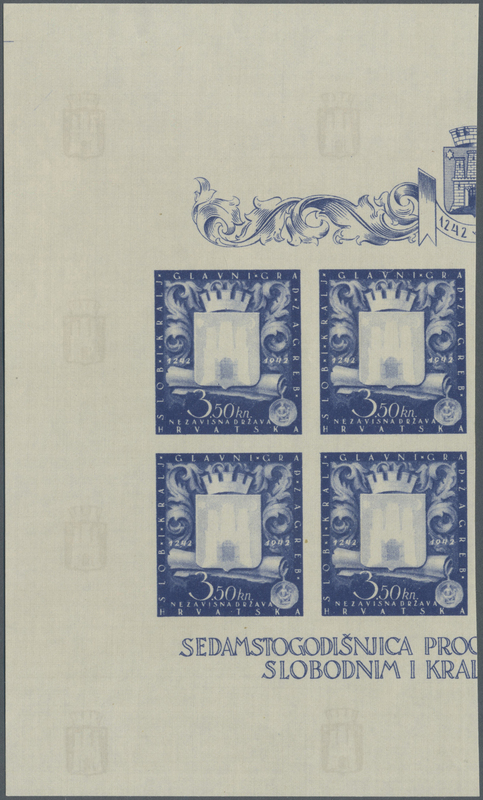 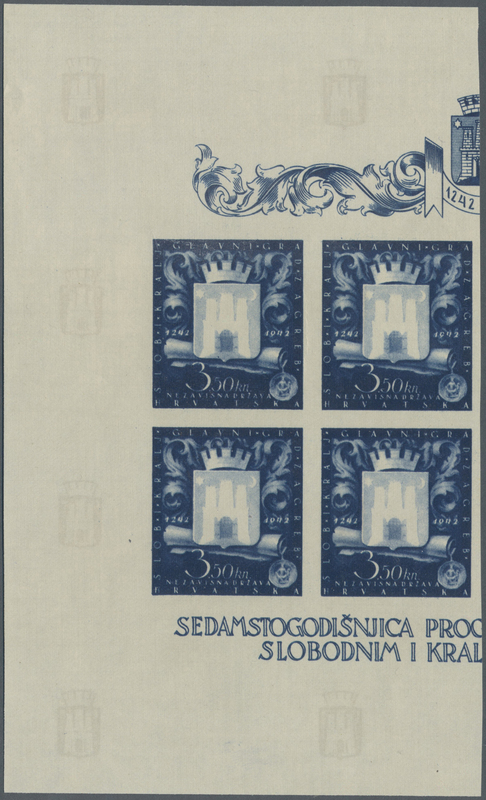 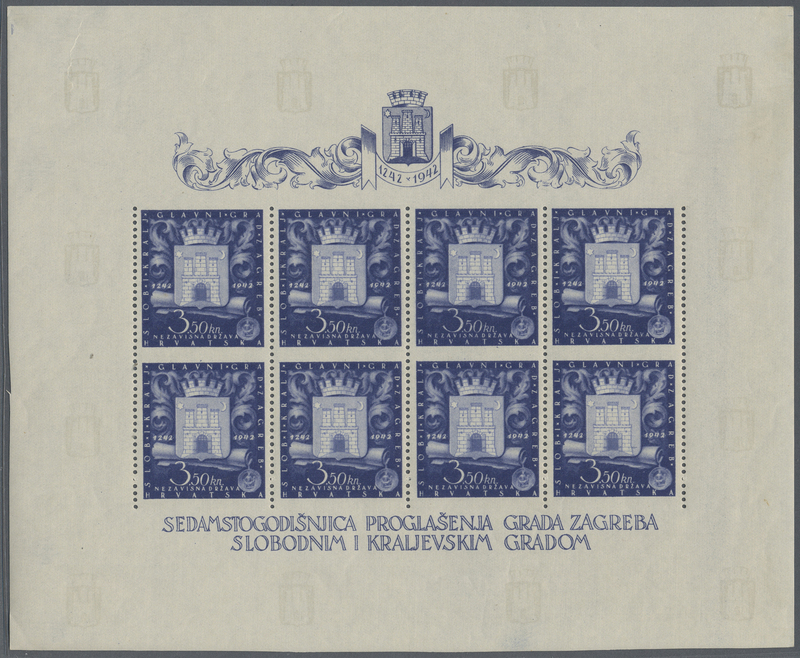 5K black in bright violet, deep violet, blakish brown, deep blue and bluish black, IMPERF, ungummed wove paper, all in superb blocks of four, ex Ministerial album (2nd edition for values issued in 1942). 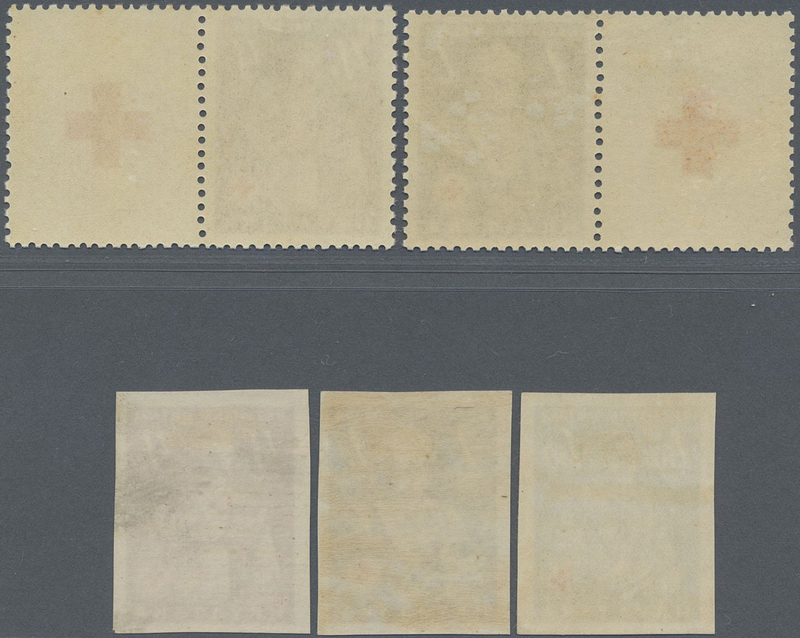 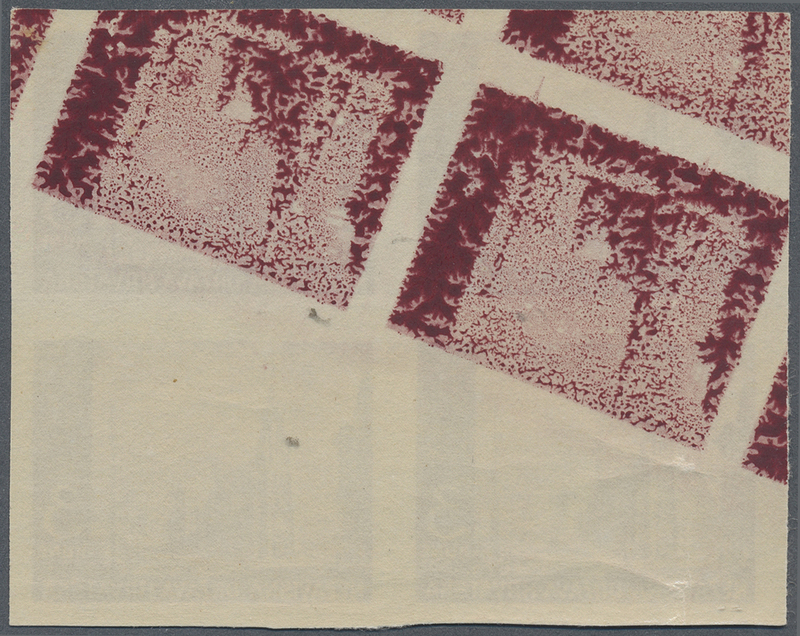 17757 postfrisch (never hinged) ** ungebraucht (hinged) * 4er (Block) 1942, 3 K + 6 K brown-carmine "Ustashe Youth", imperforated block of 4, mint full original gum (2 stamps with hinge remnants). 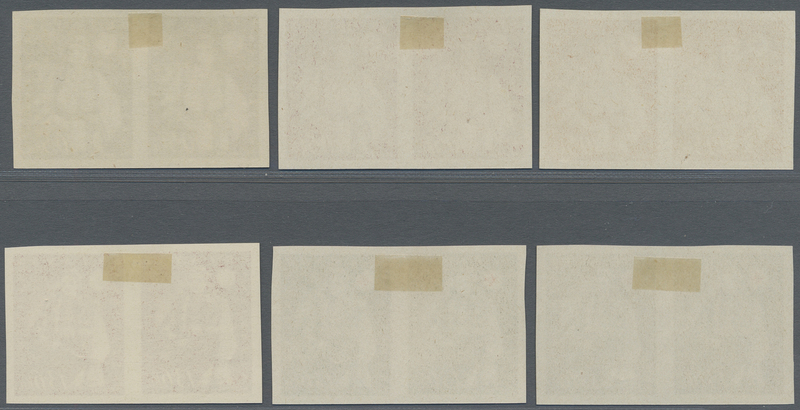 VF condition.